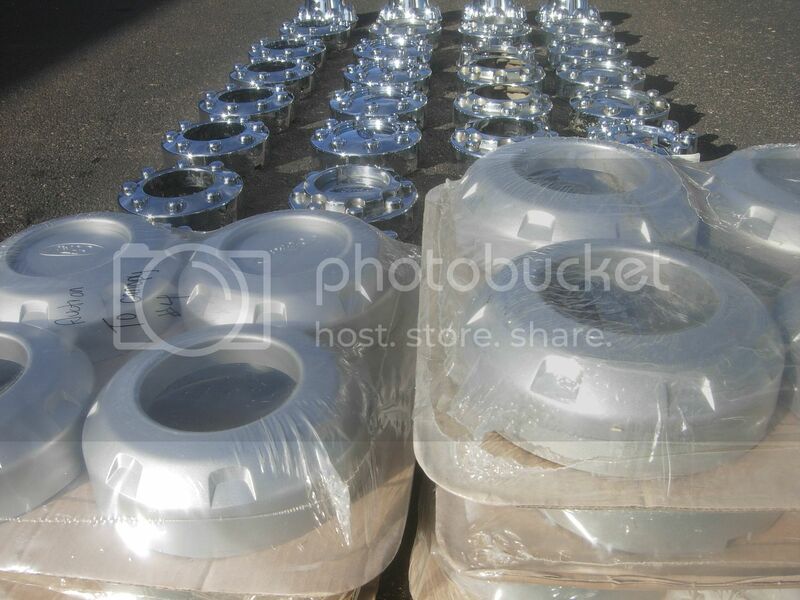 an ideas about quility and prices. 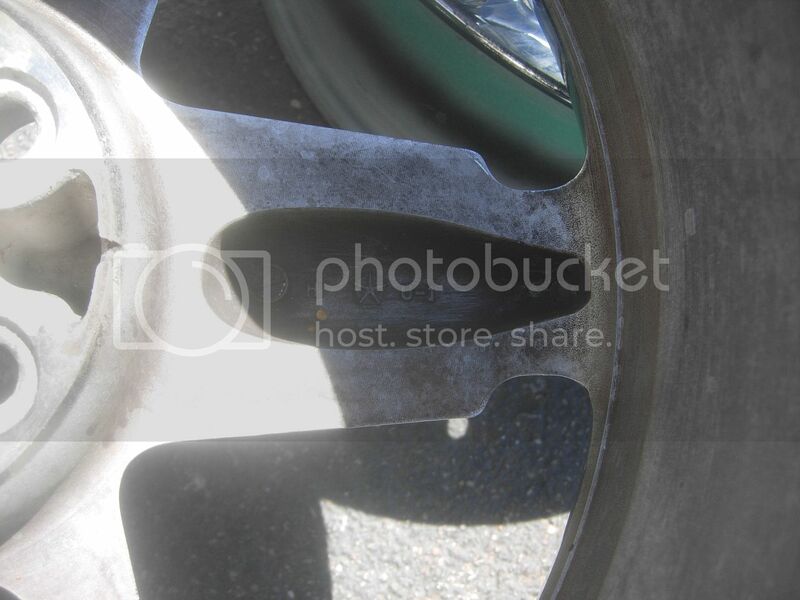 No sensors, No center caps, No lug nuts. 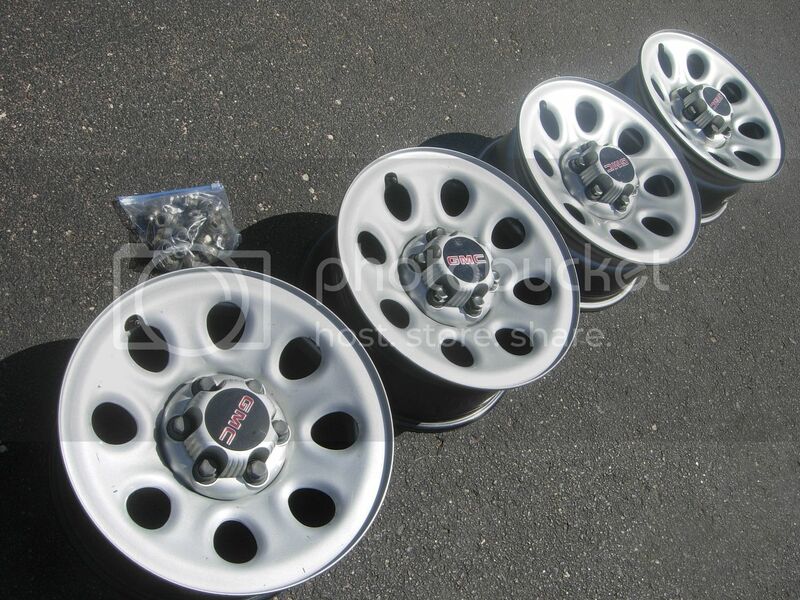 No sensors, comes with 4 center caps, and 24 lug nuts. 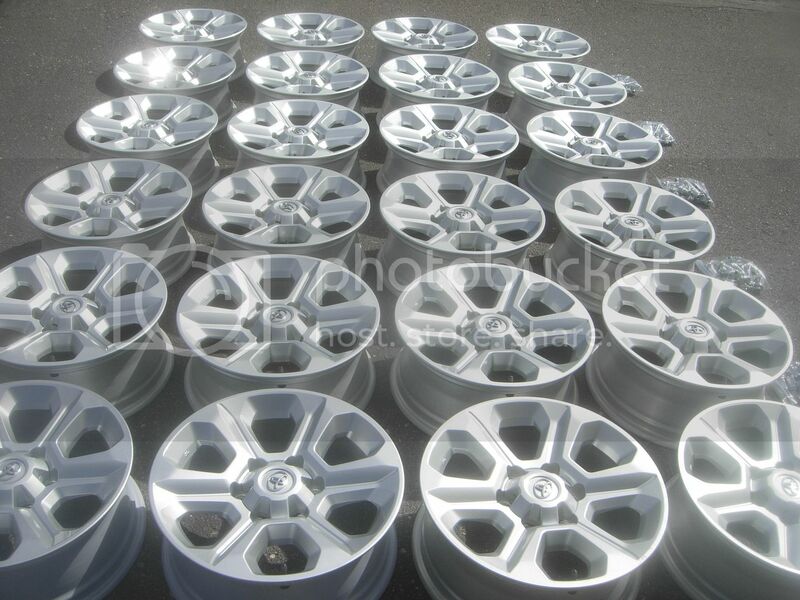 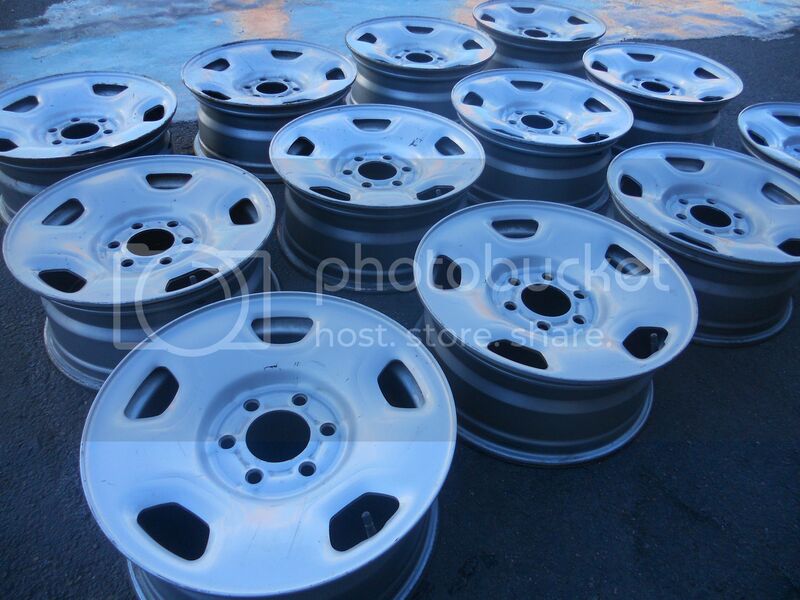 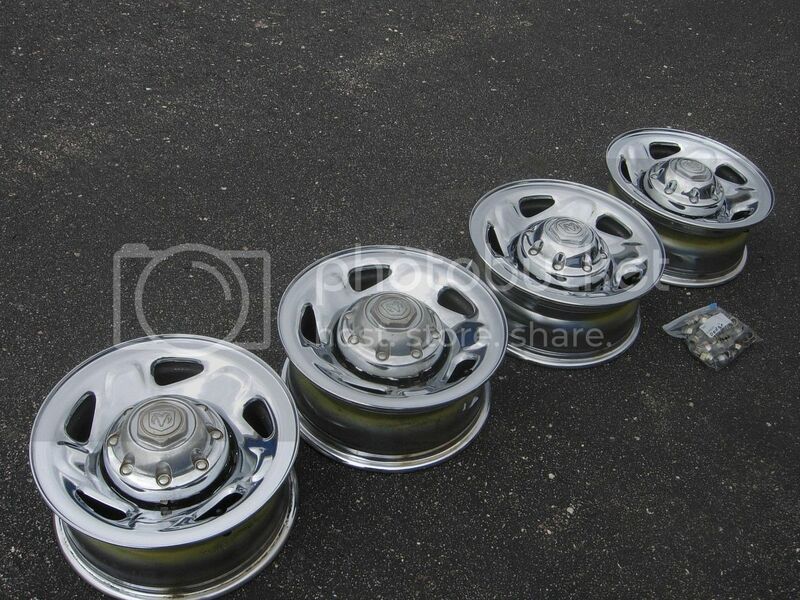 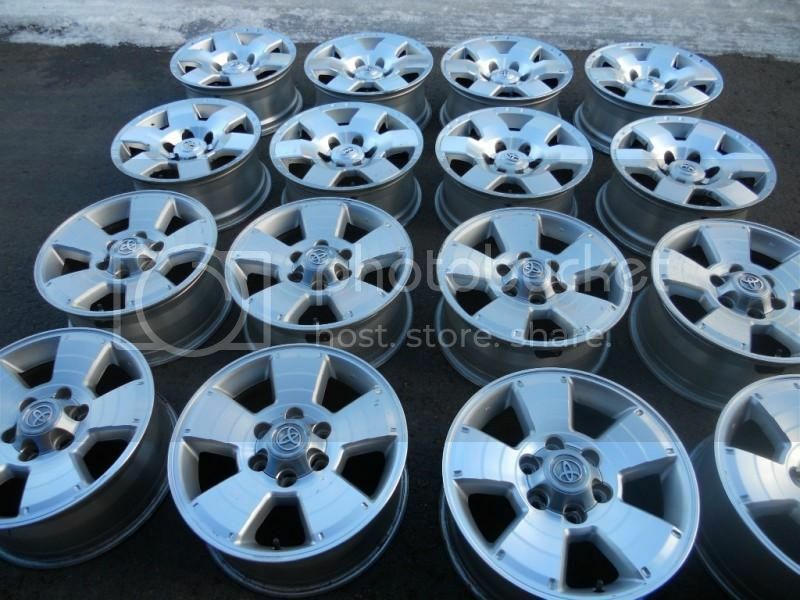 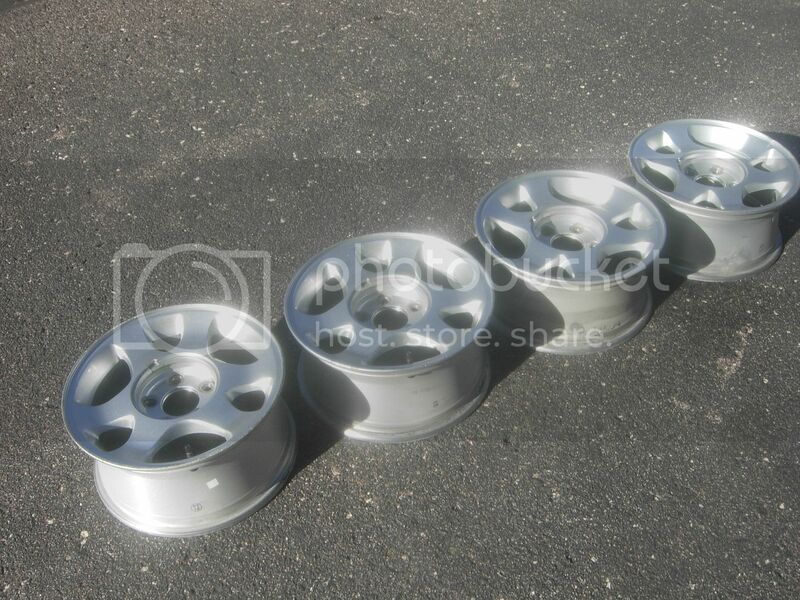 first line in the front is 17" the othere are 18"
4 rims Buick Lesabre 15"
rims are 15" X 6", ET=51mm, 5 lugs X 115mm, center bore=2.81". 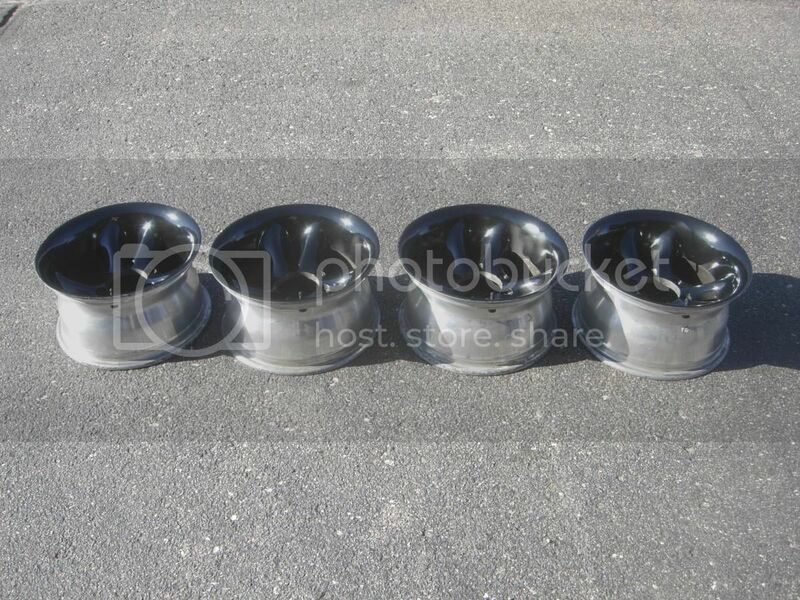 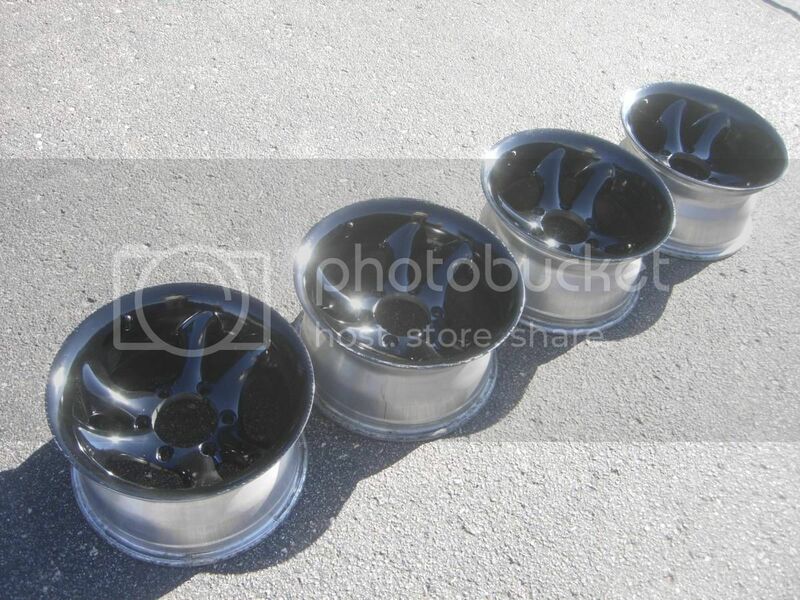 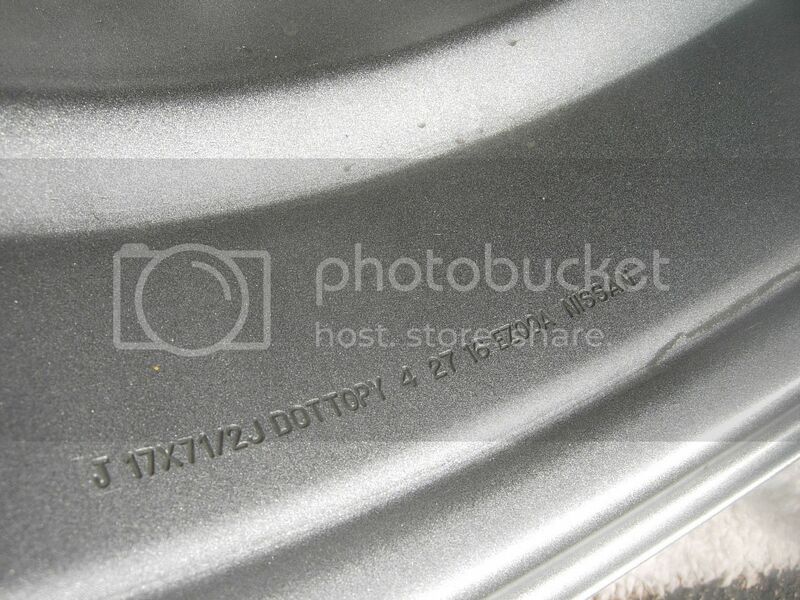 5 lugs X 120.7mm, or 5 lugs X 4.75, center bore=2.75, -------14" X 7", back space=4.25"
came from 2001 Chevy HD 2500, Bolt Pattern 8x165.1 (8X6.5"), center bore = 4.60"
rims are alloy, 18" X 8" five lugs X 120 mm, center bore= 72.56 mm. 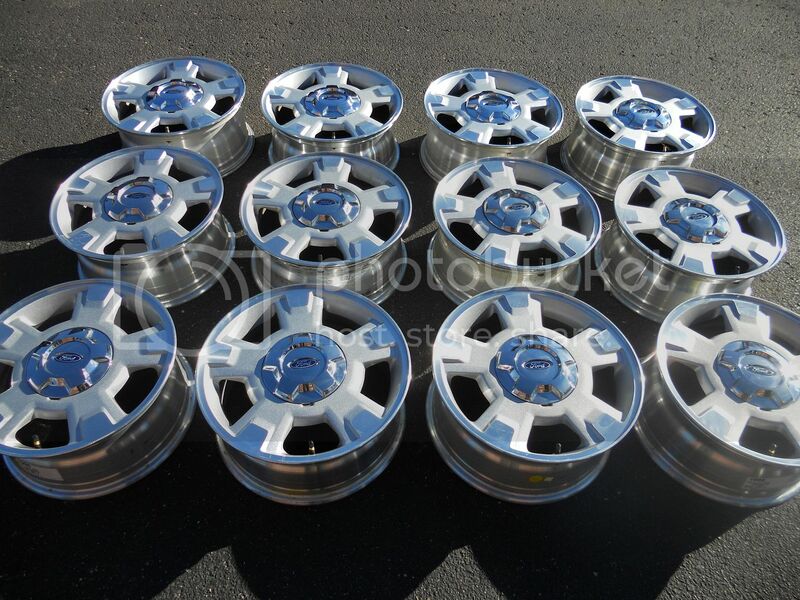 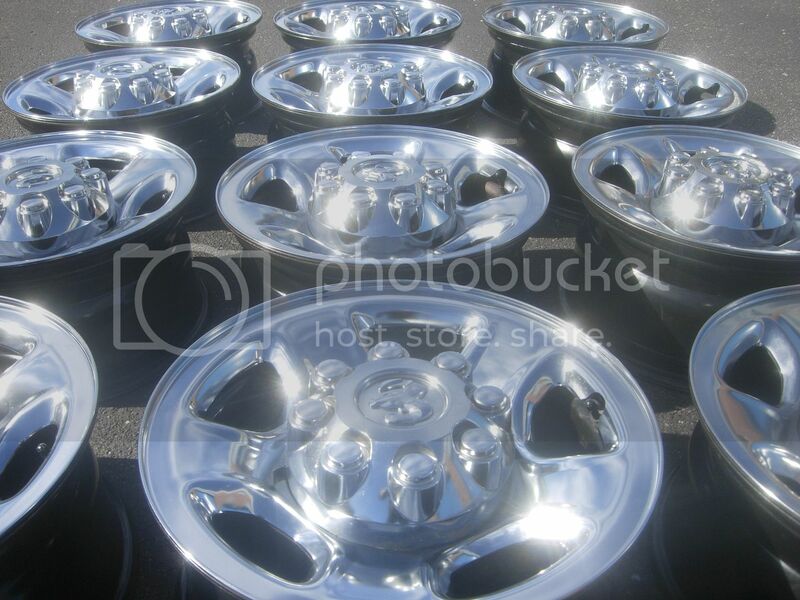 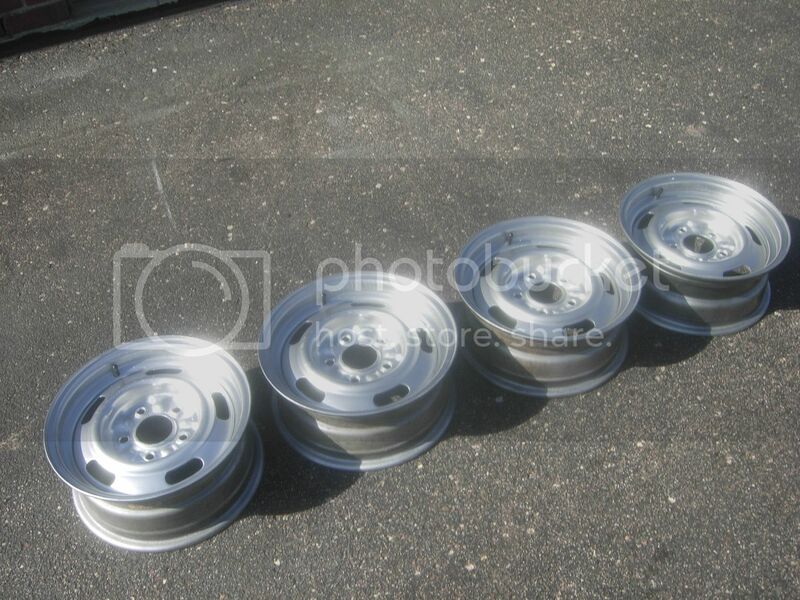 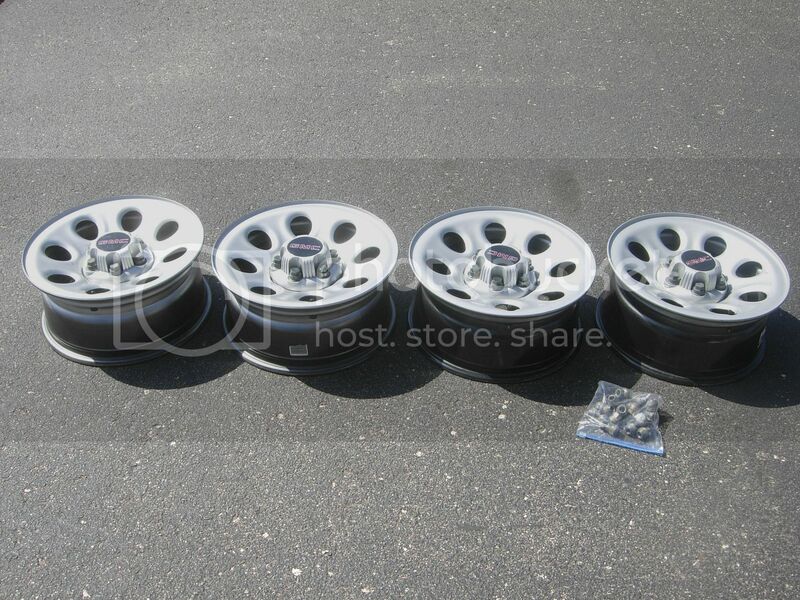 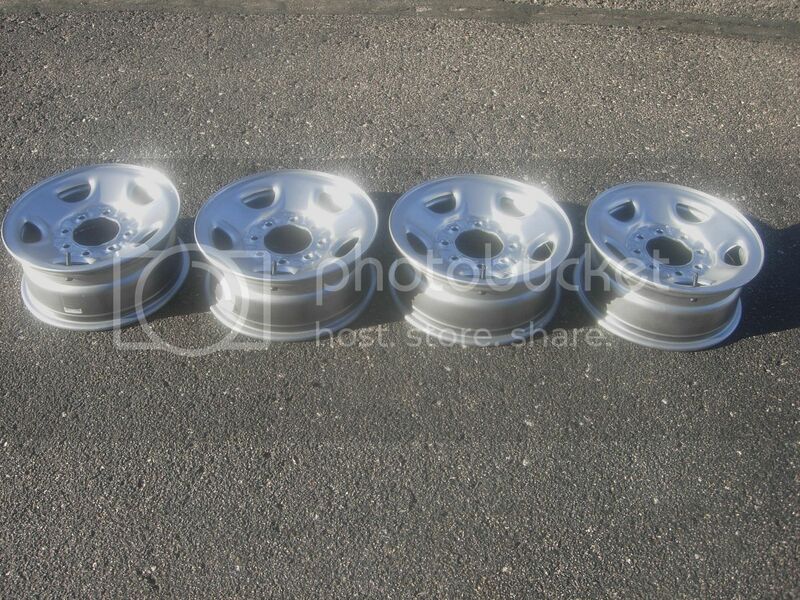 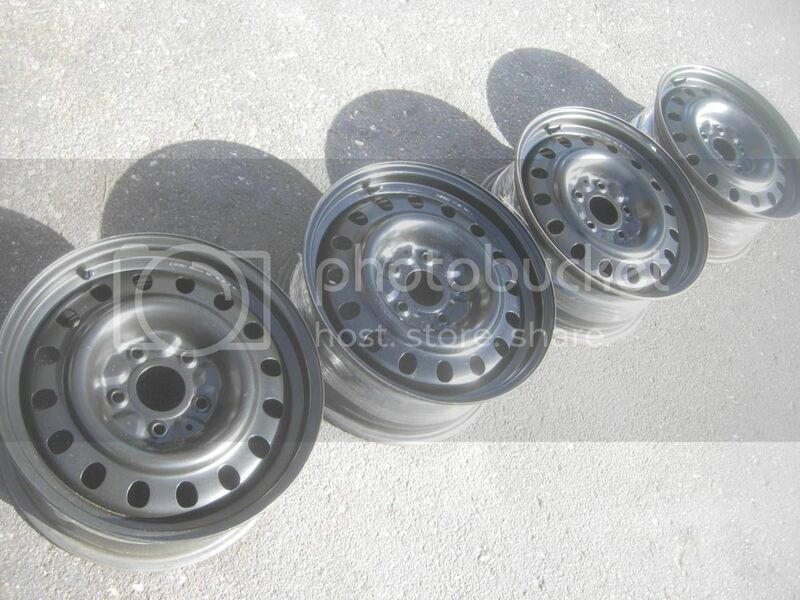 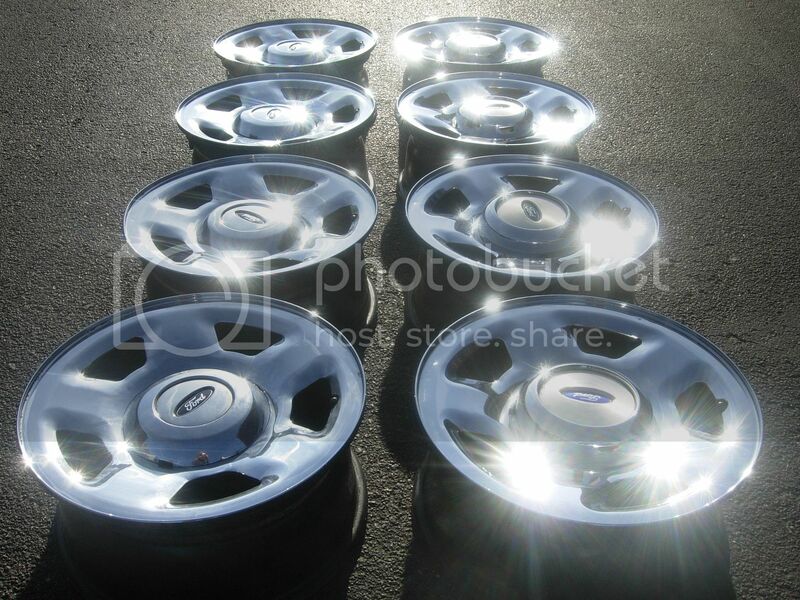 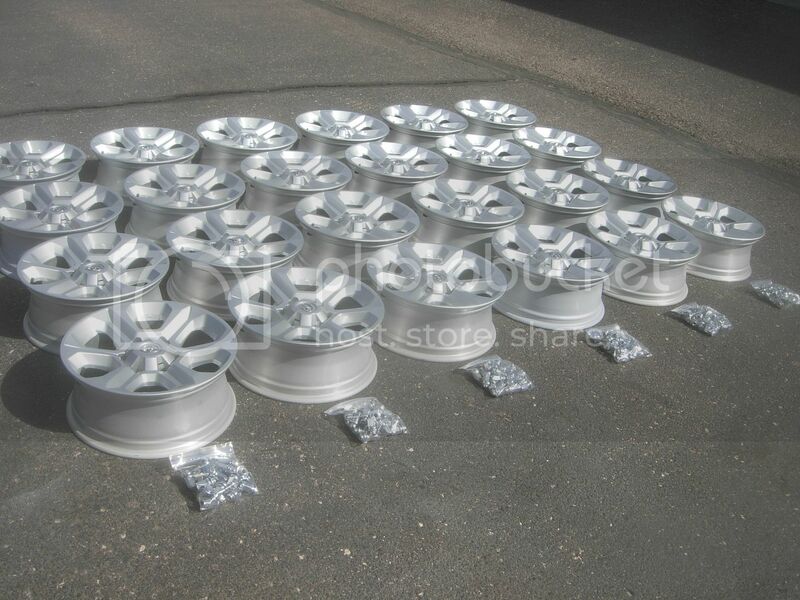 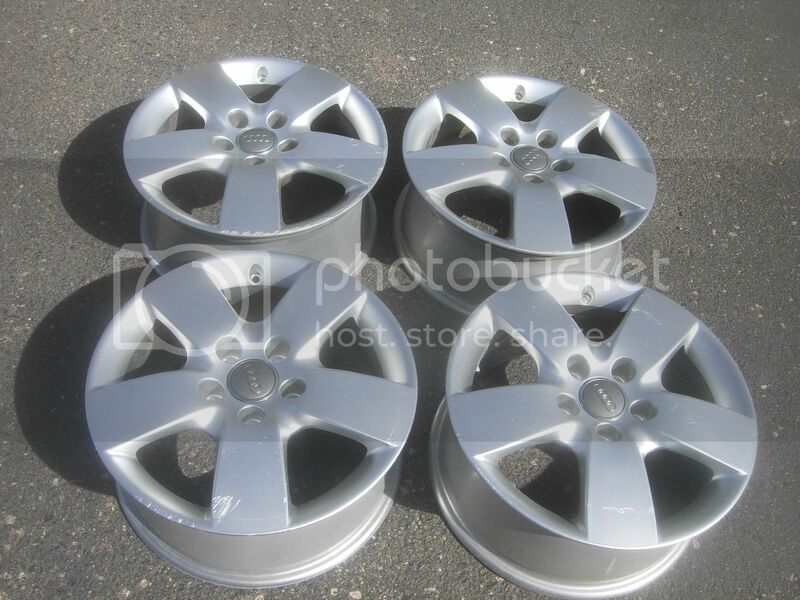 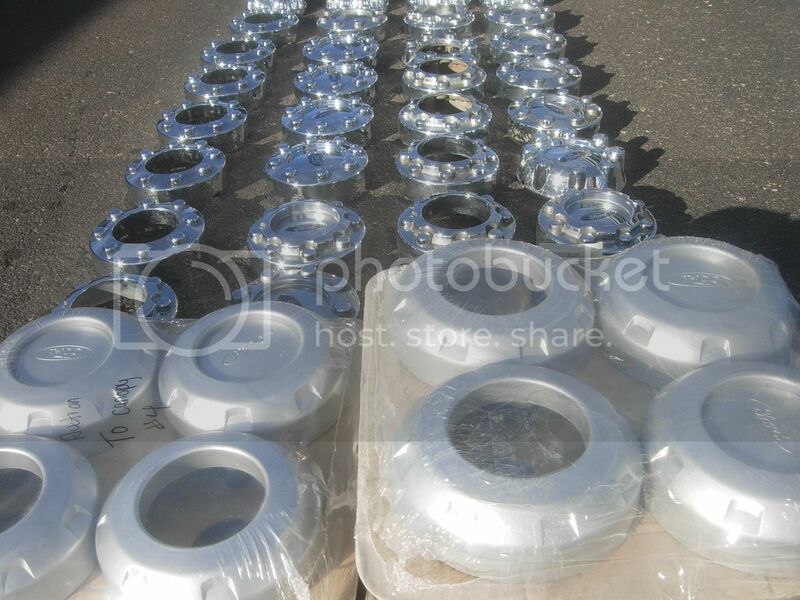 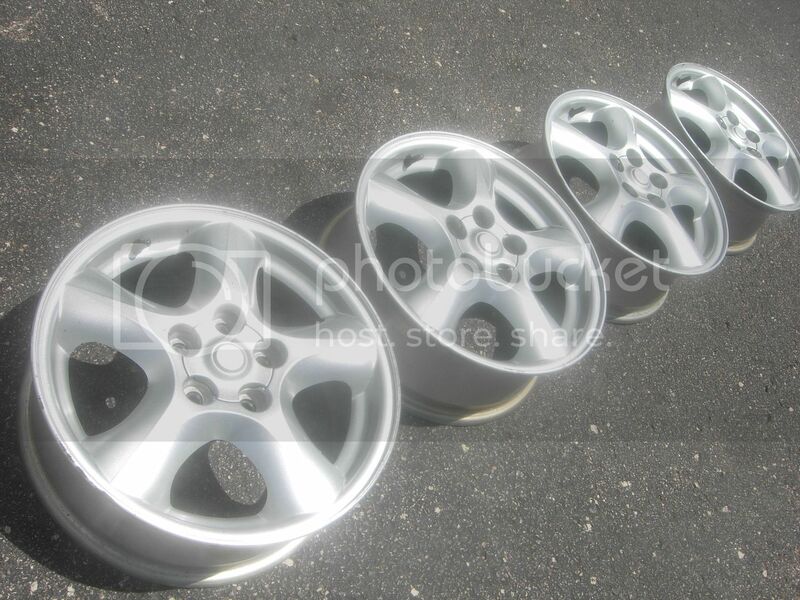 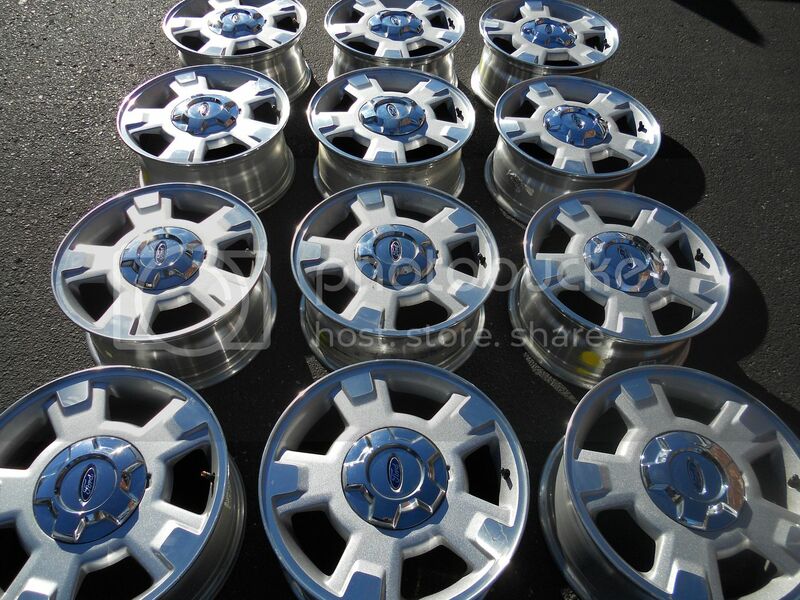 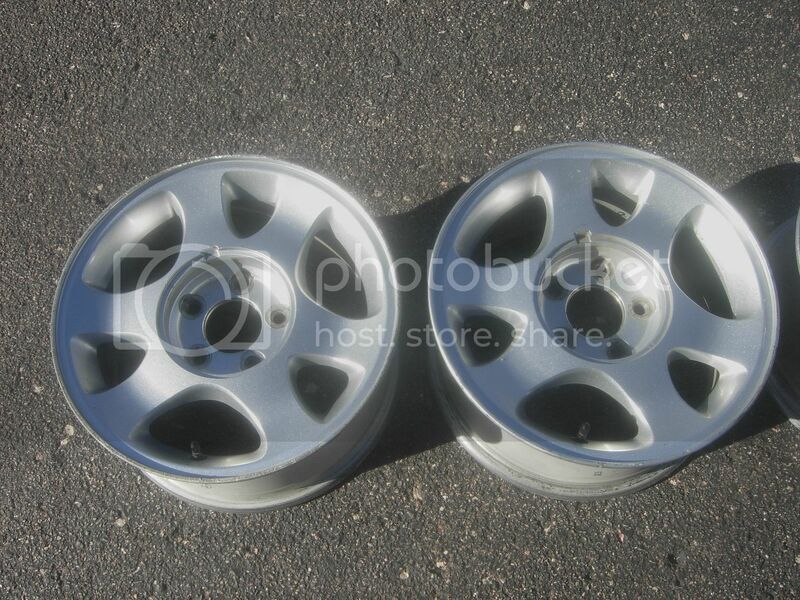 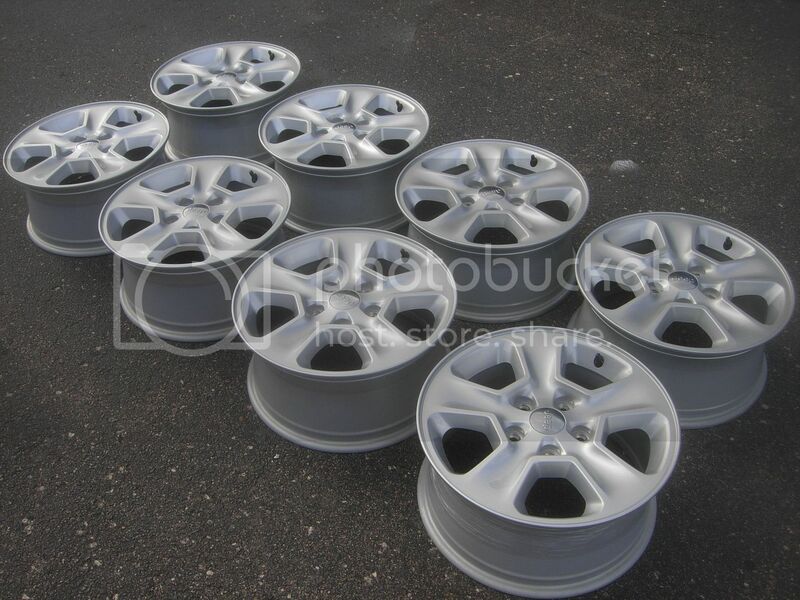 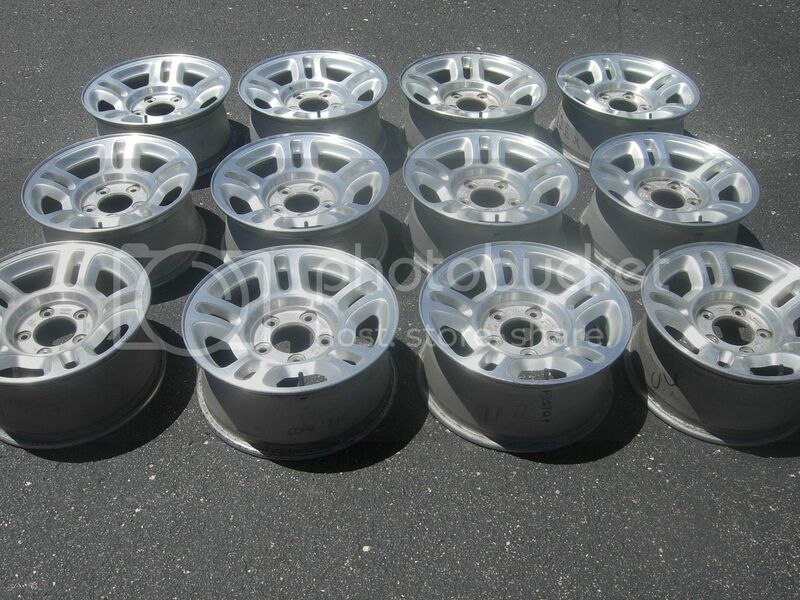 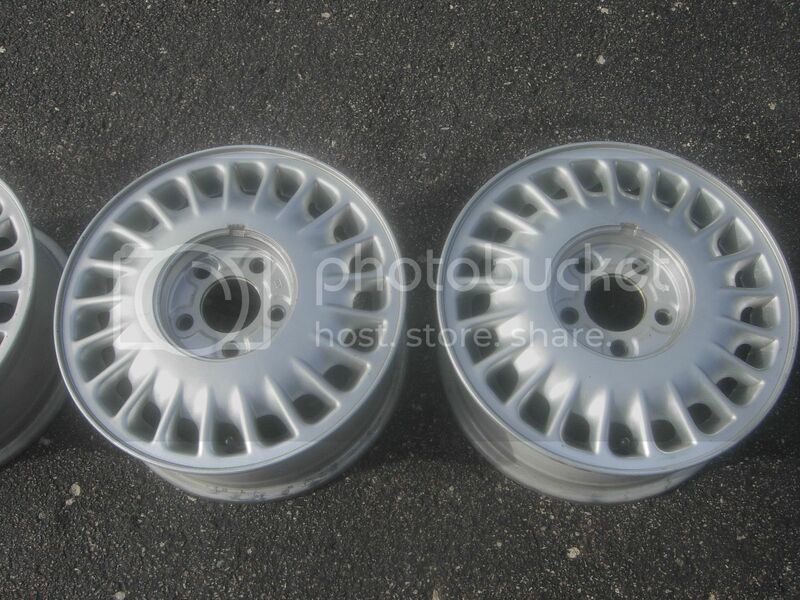 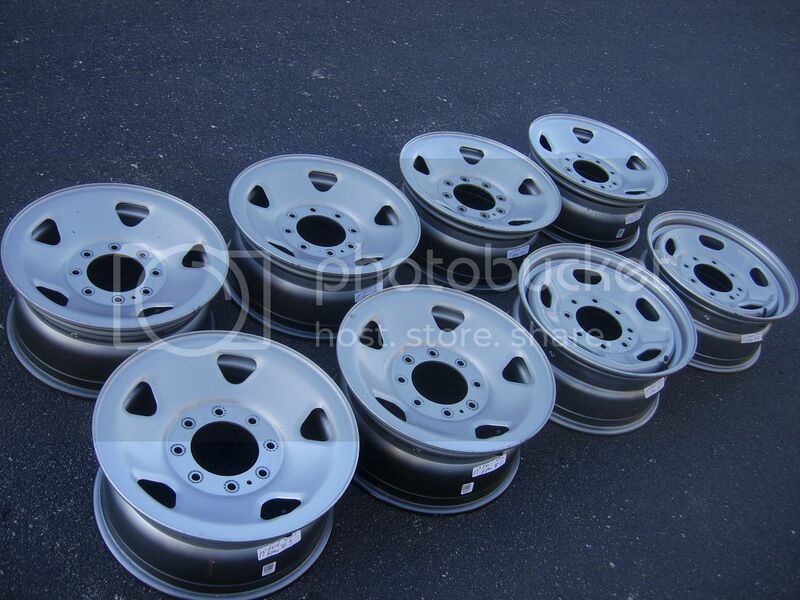 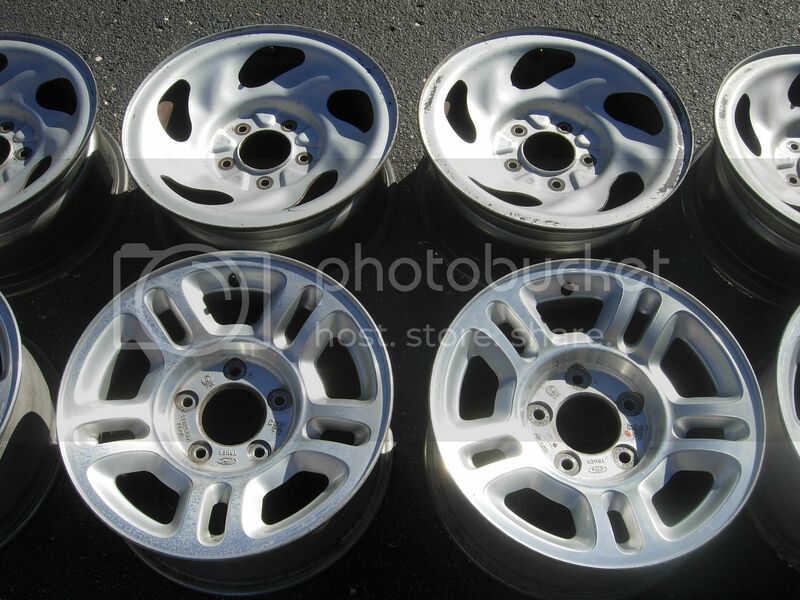 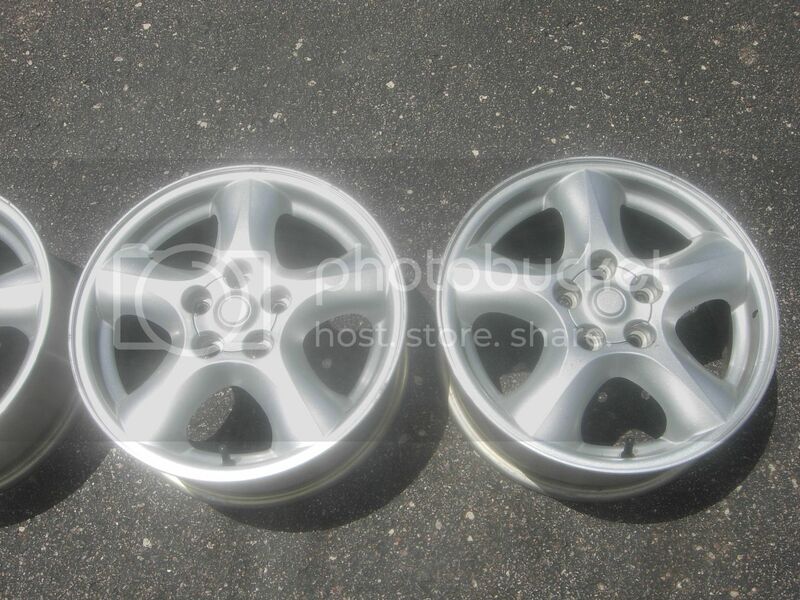 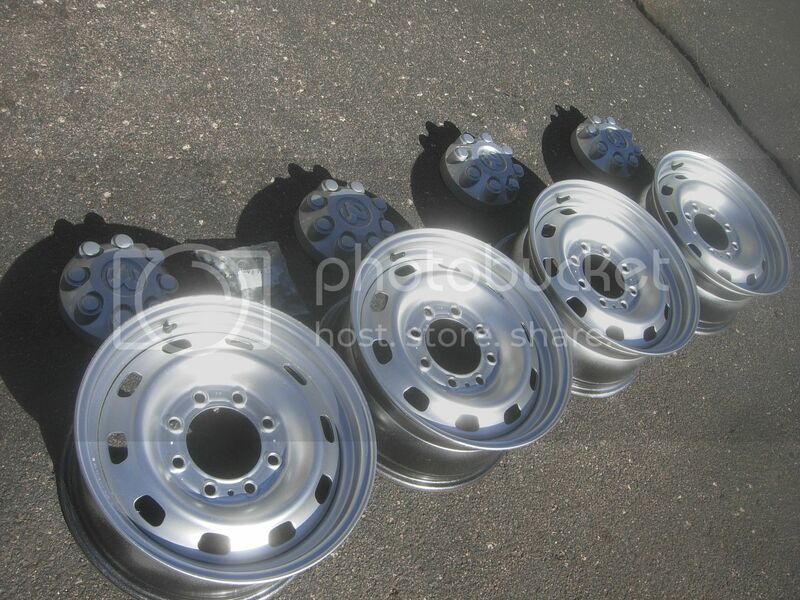 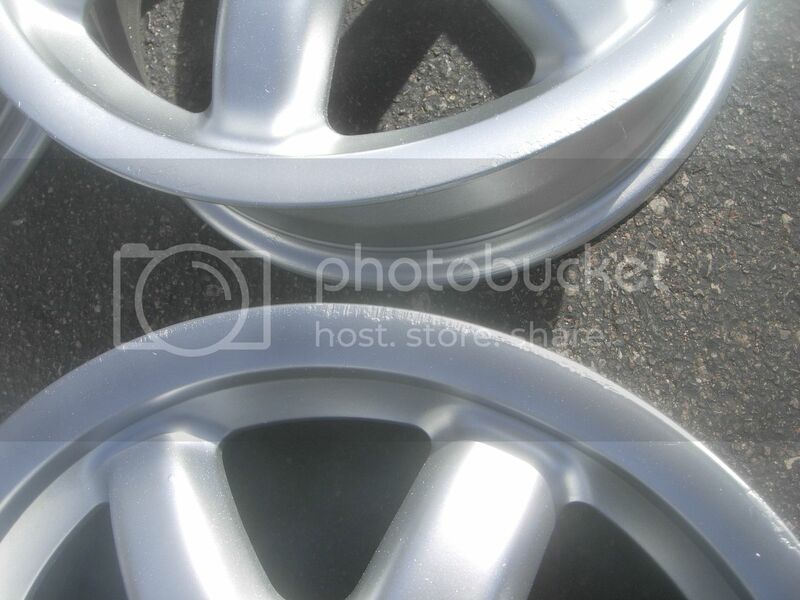 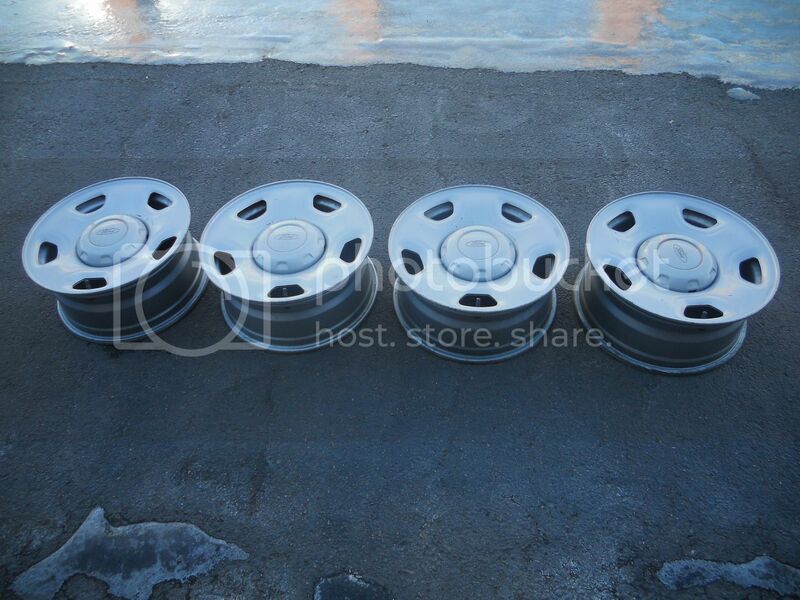 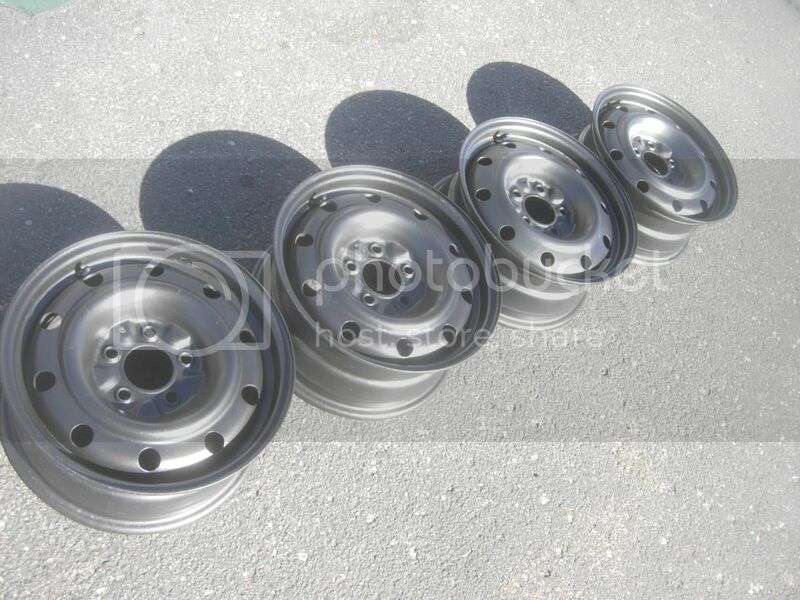 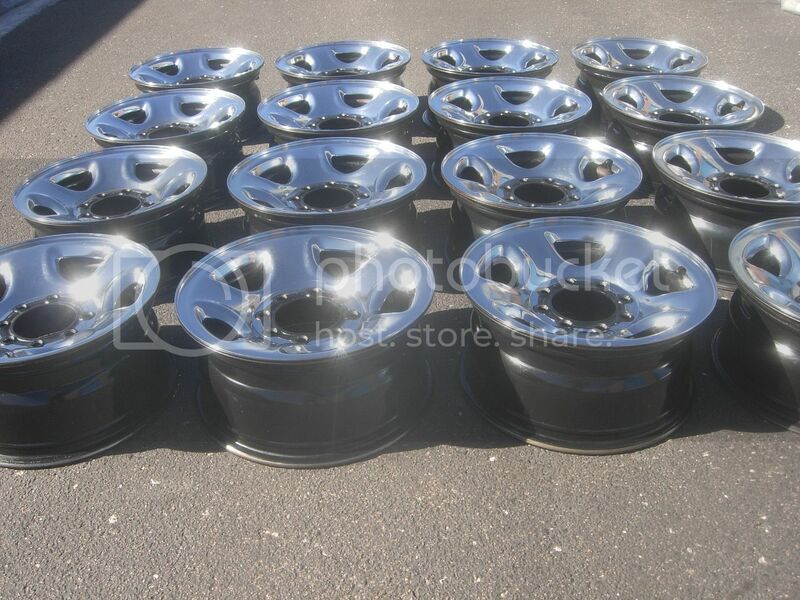 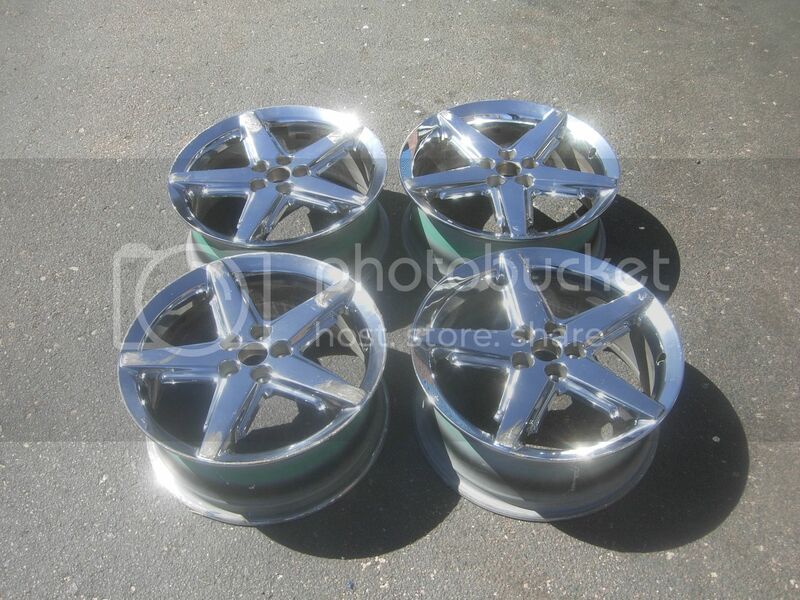 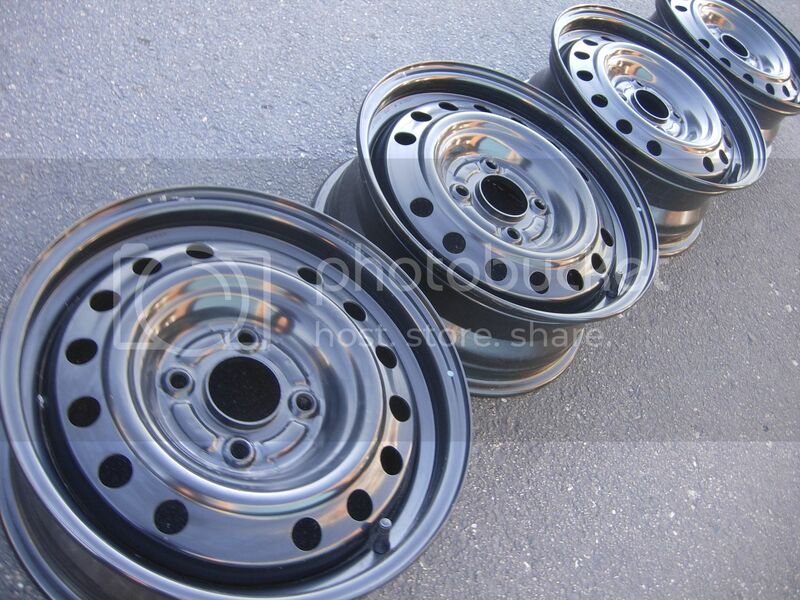 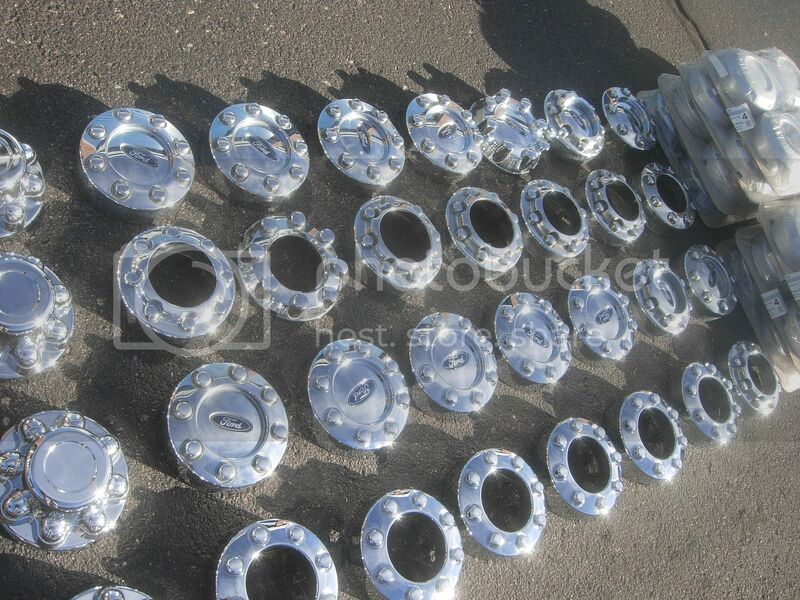 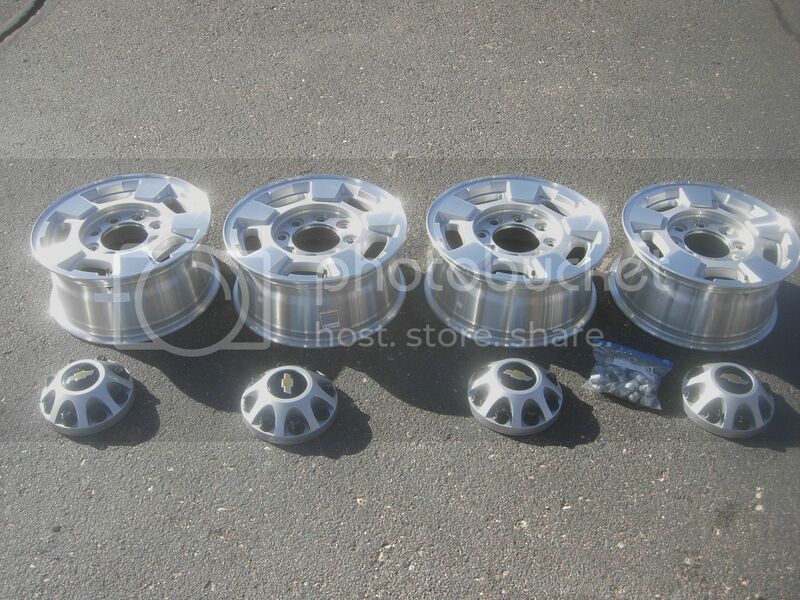 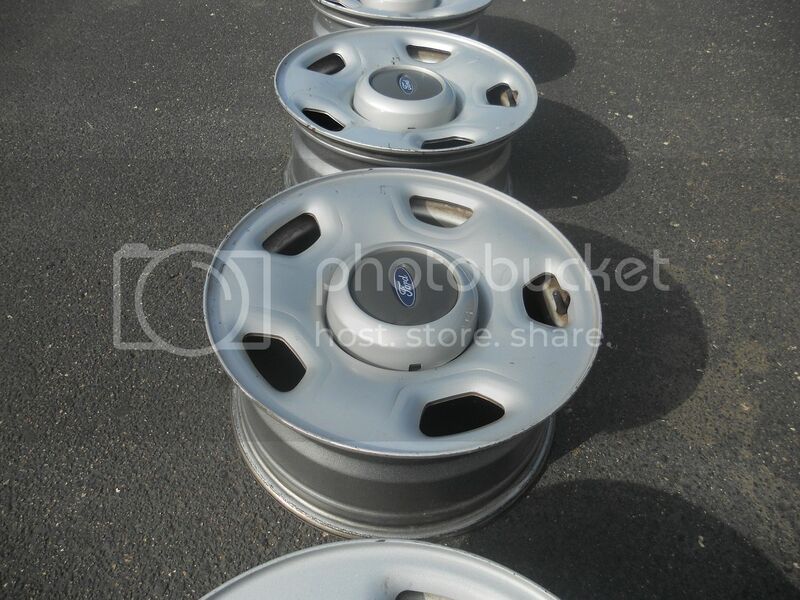 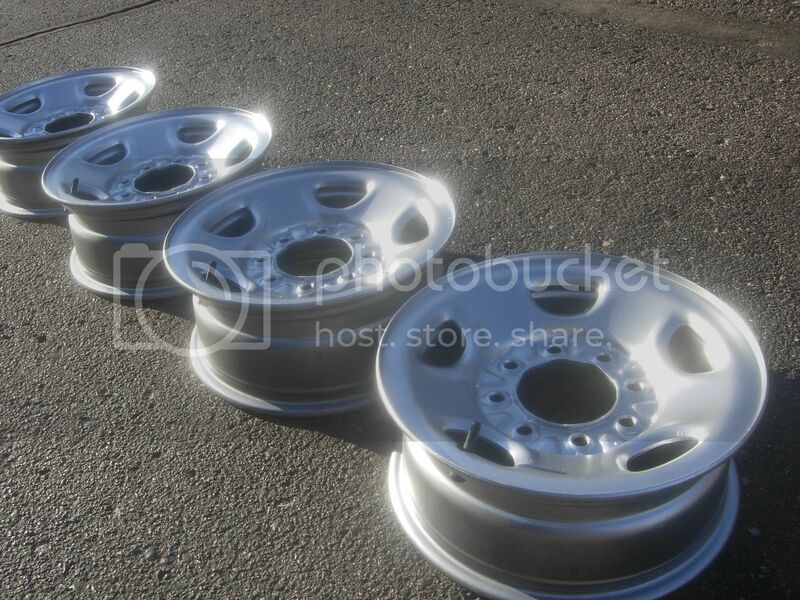 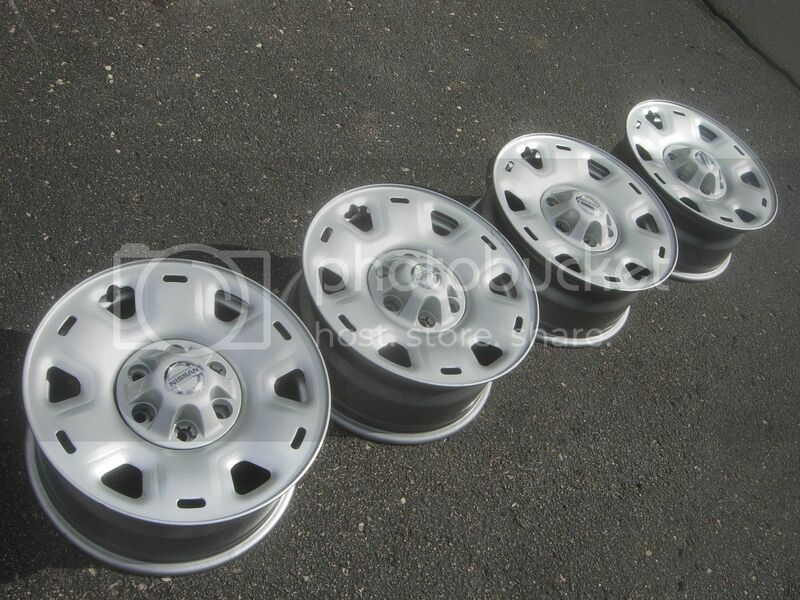 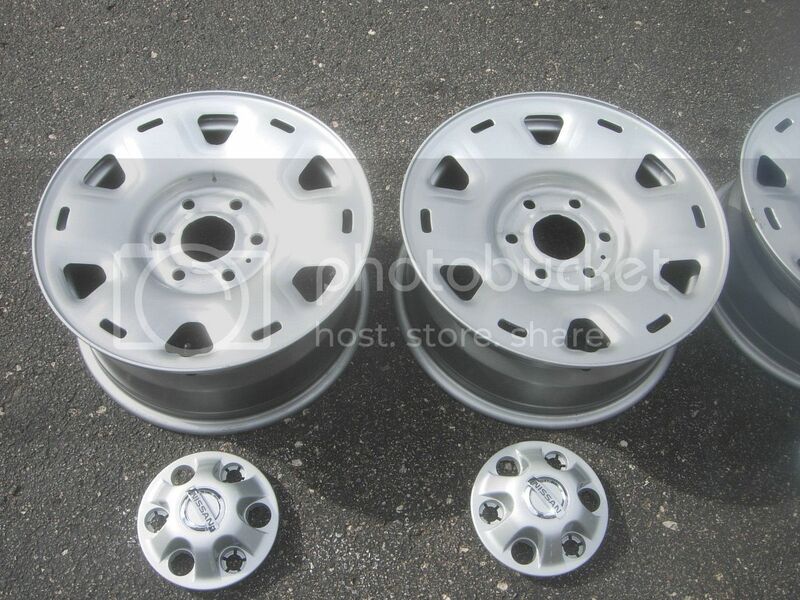 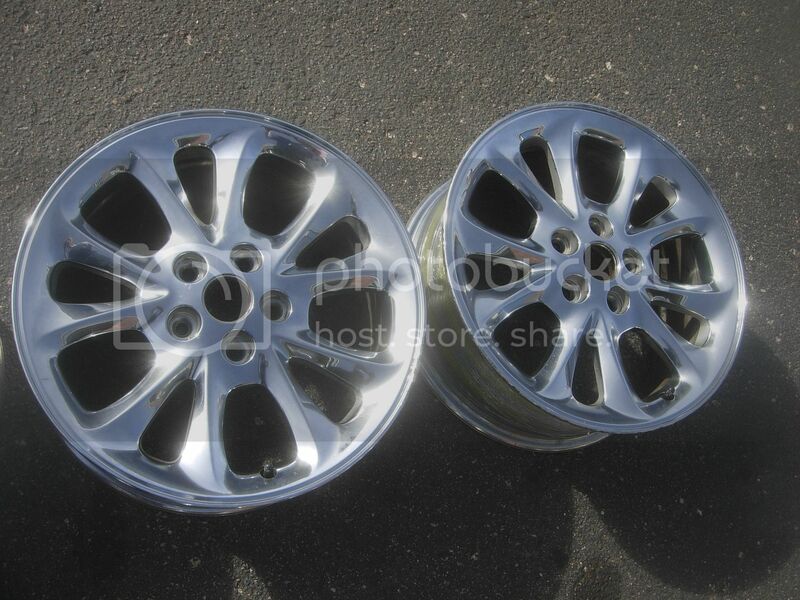 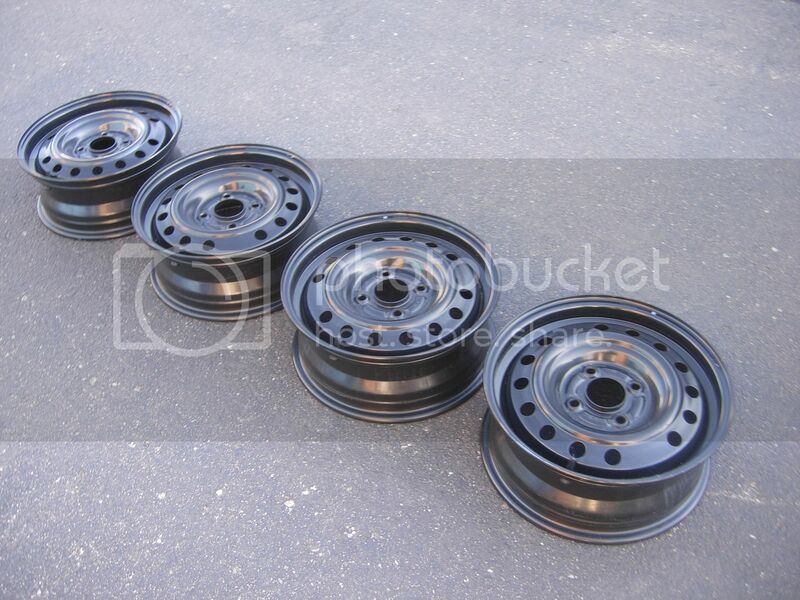 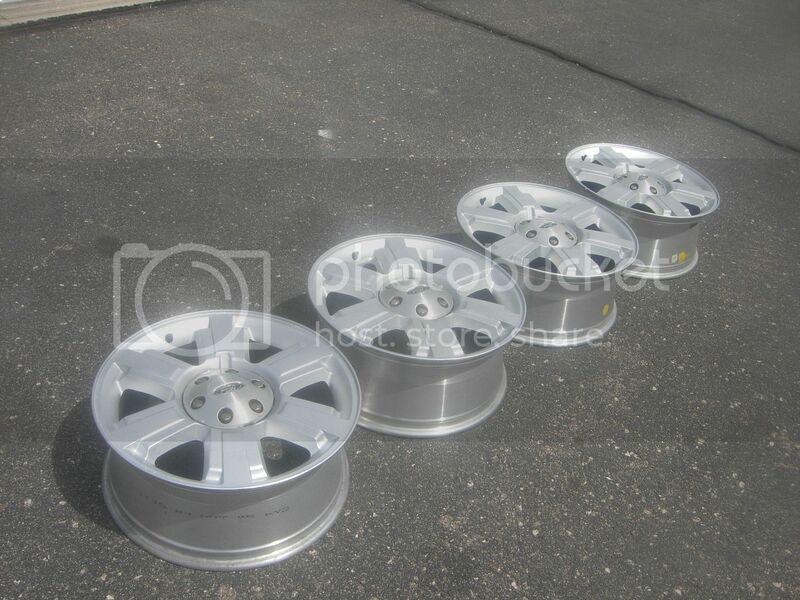 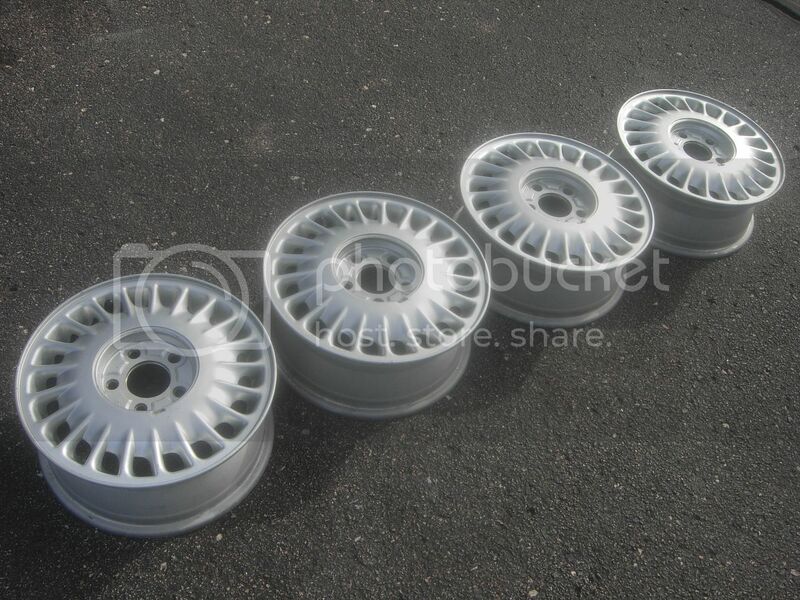 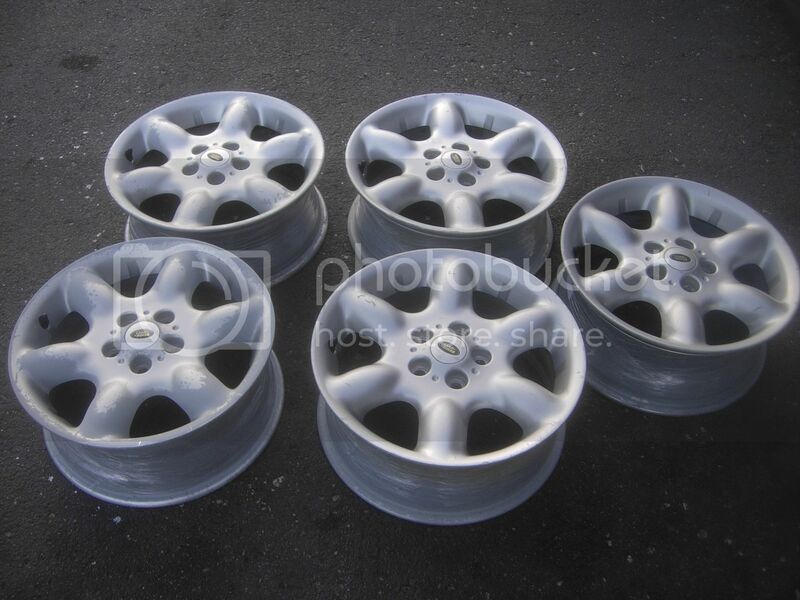 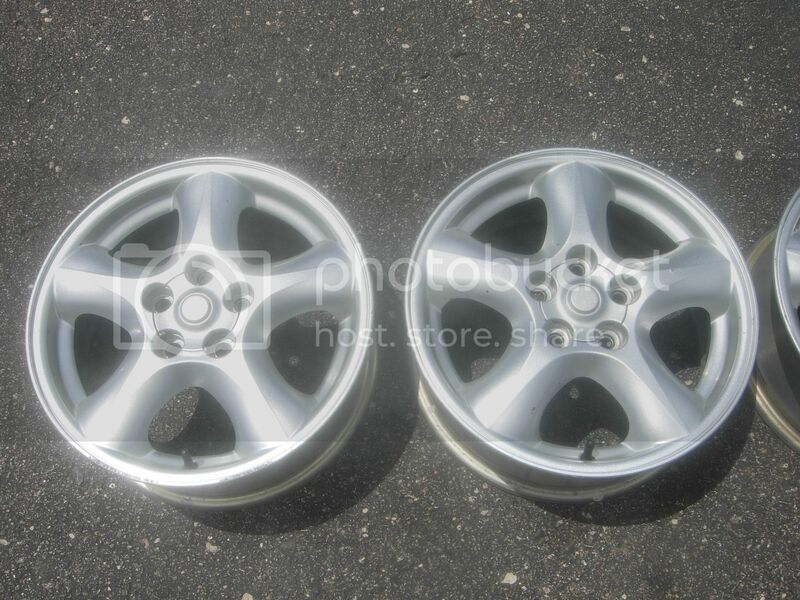 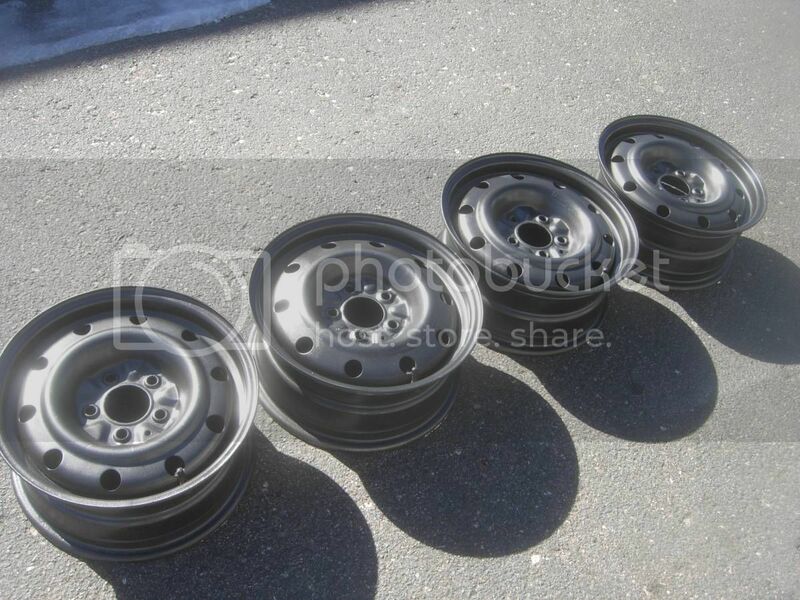 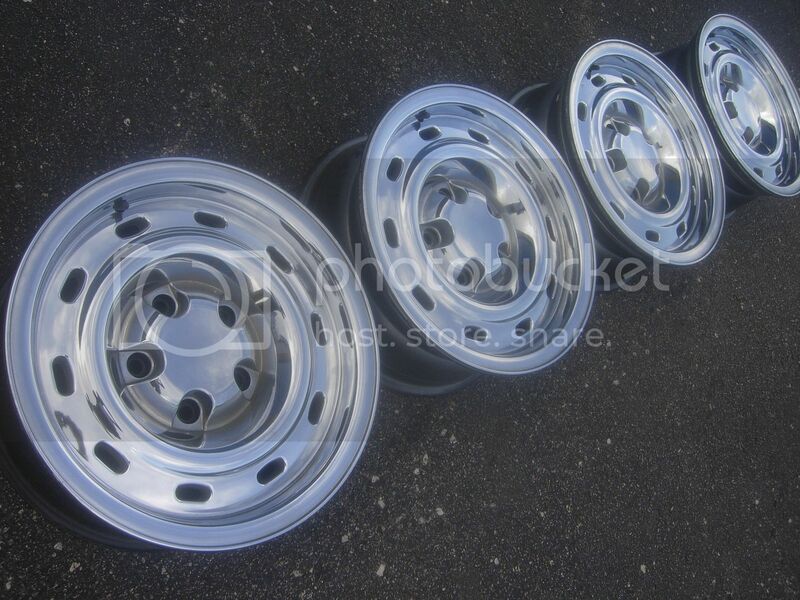 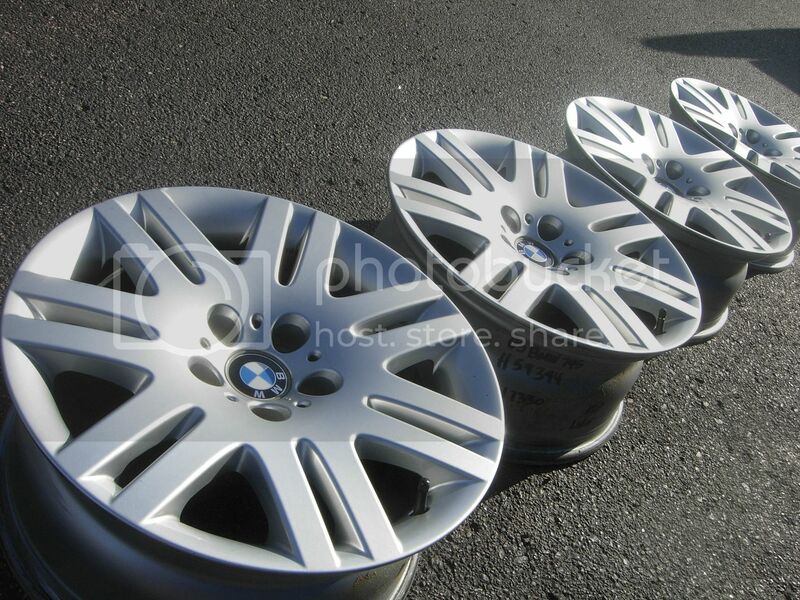 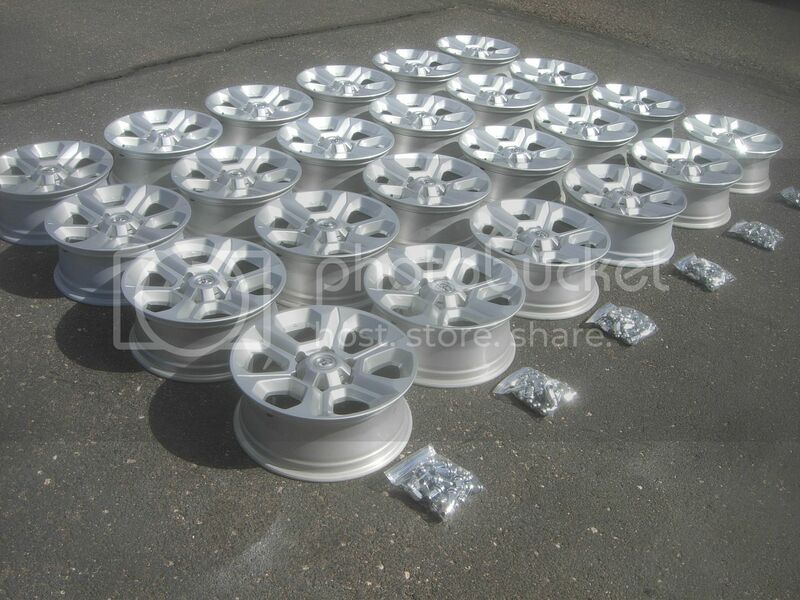 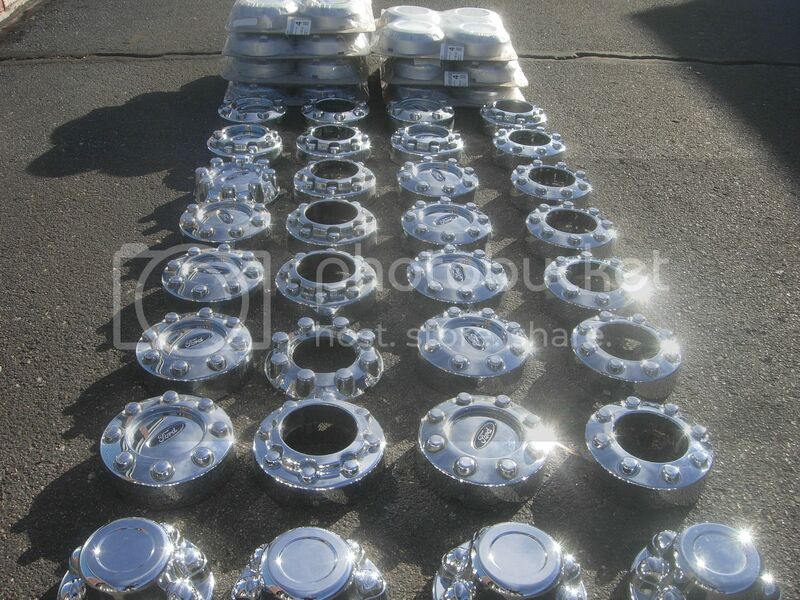 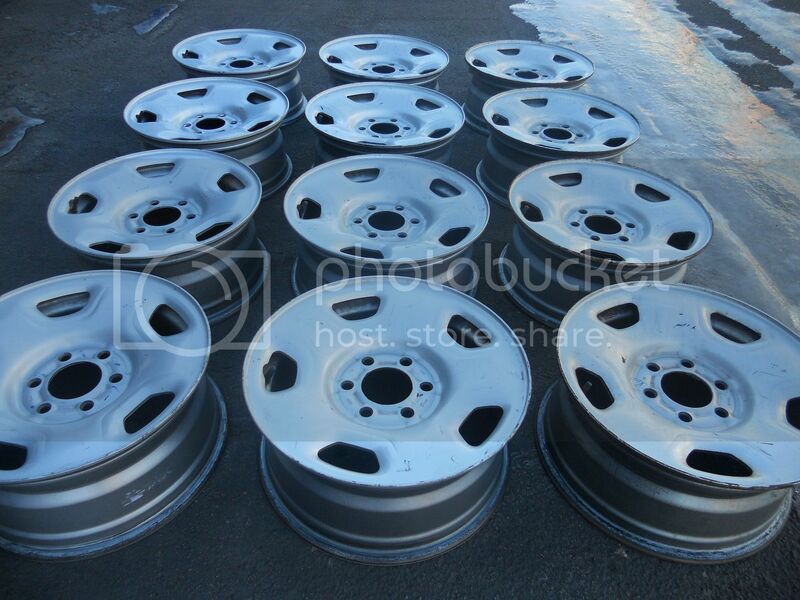 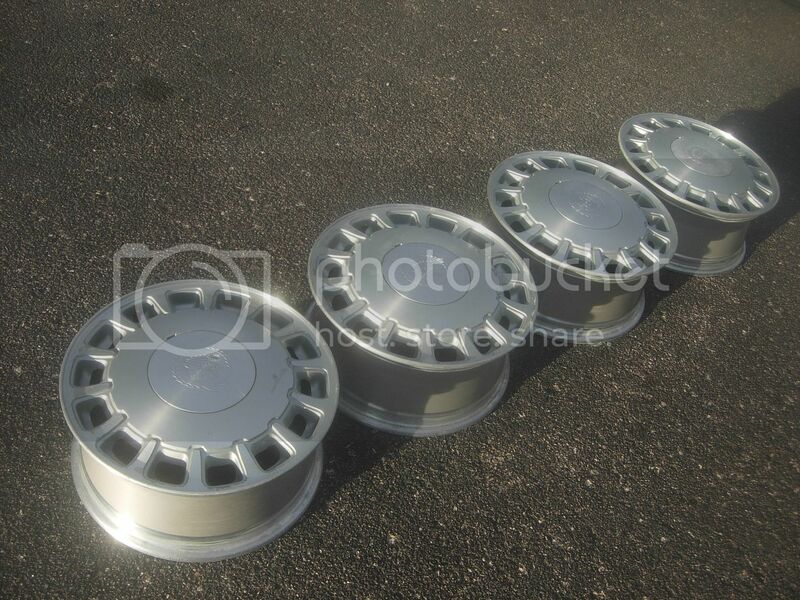 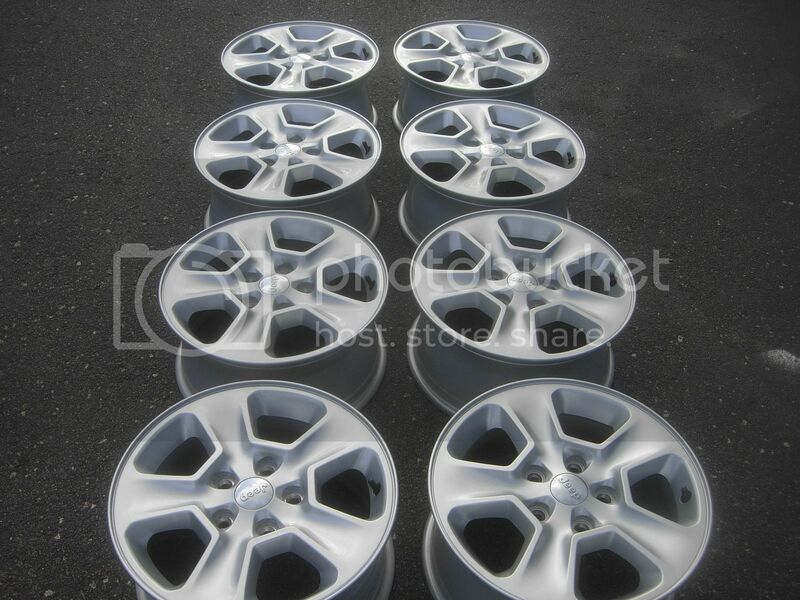 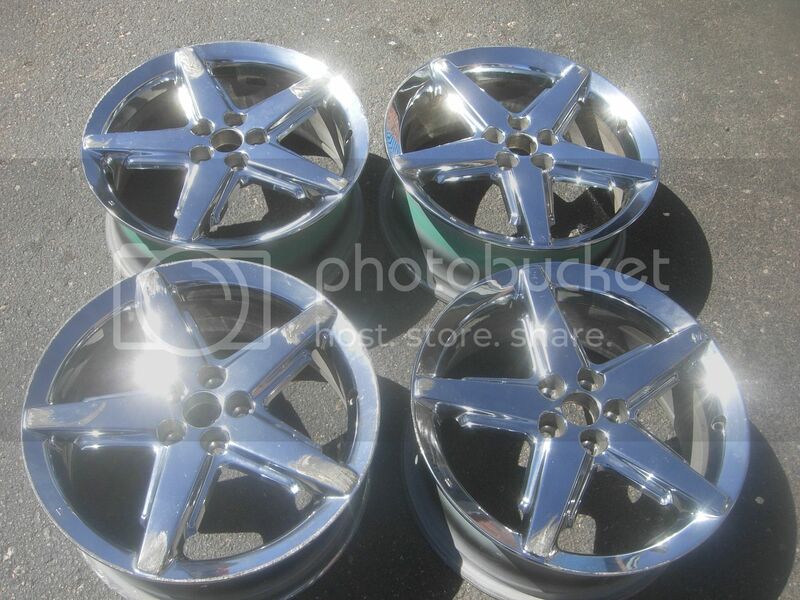 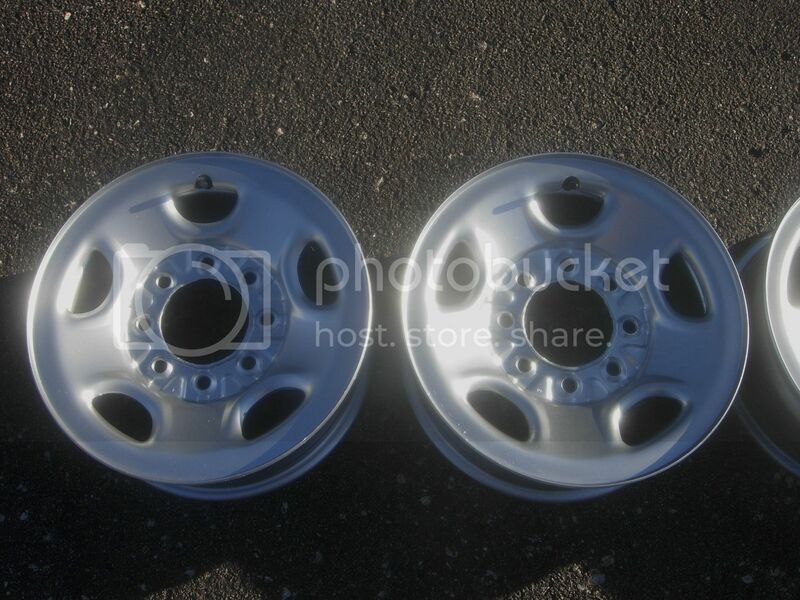 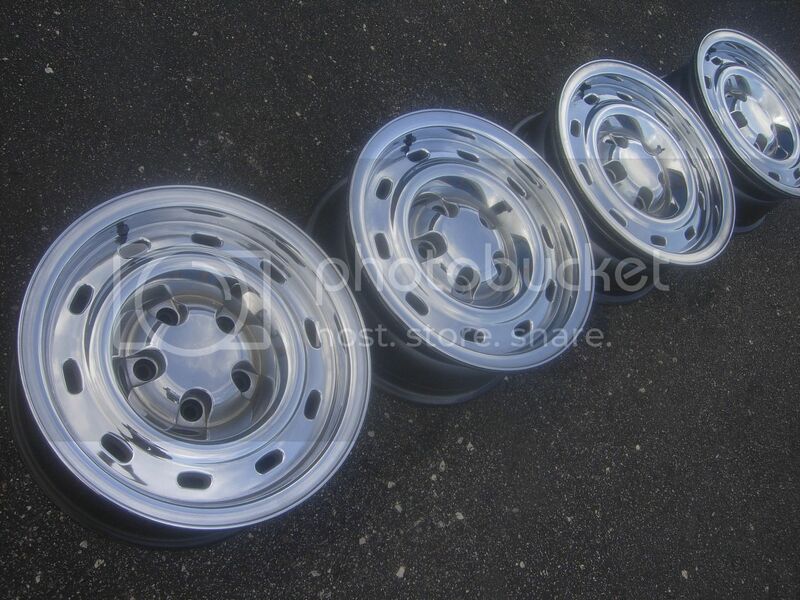 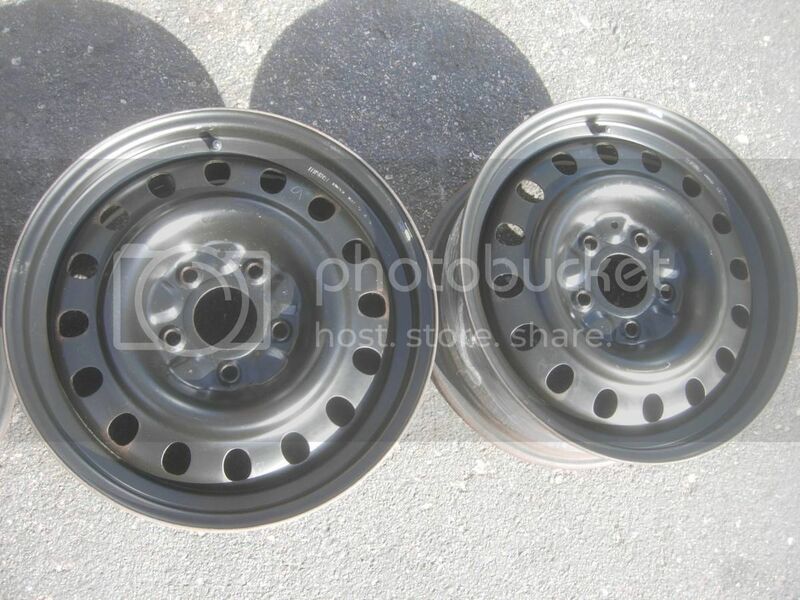 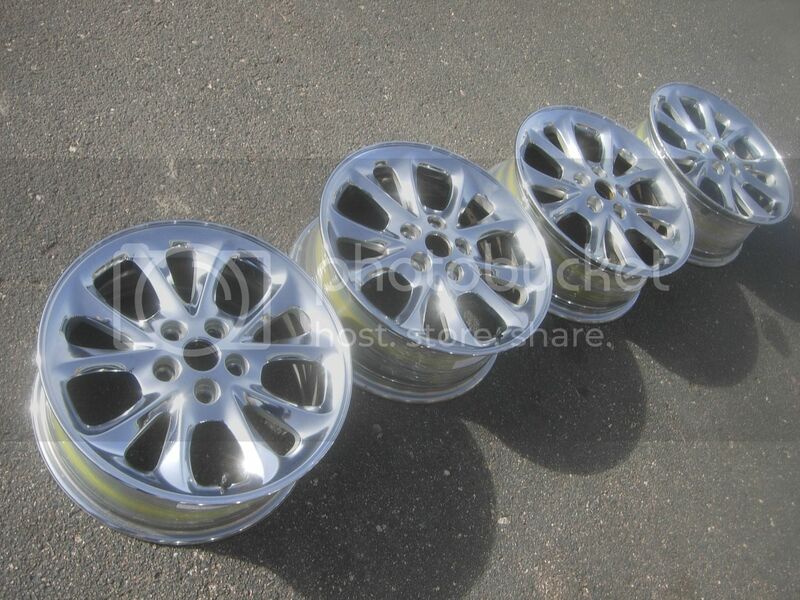 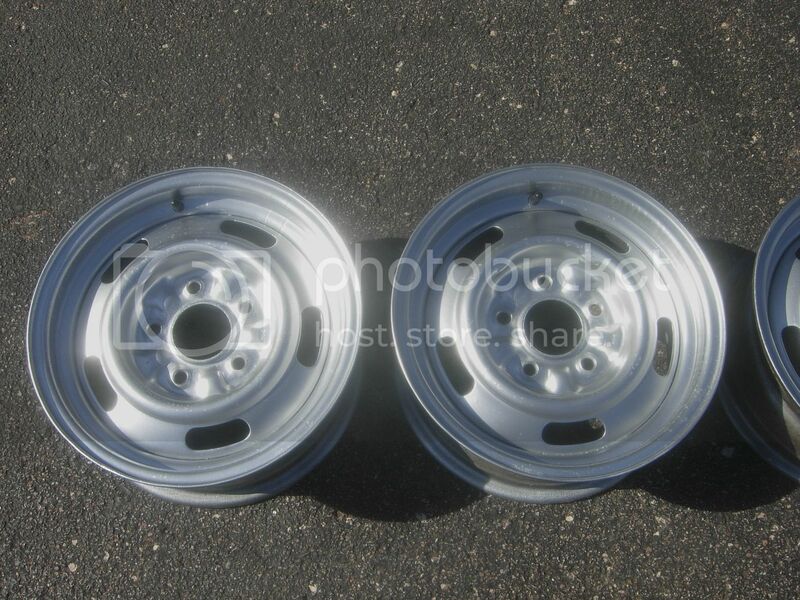 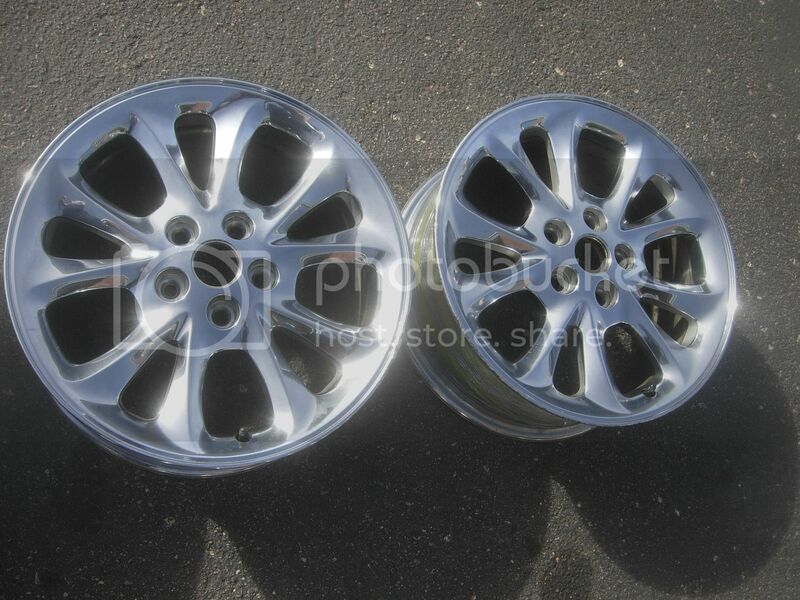 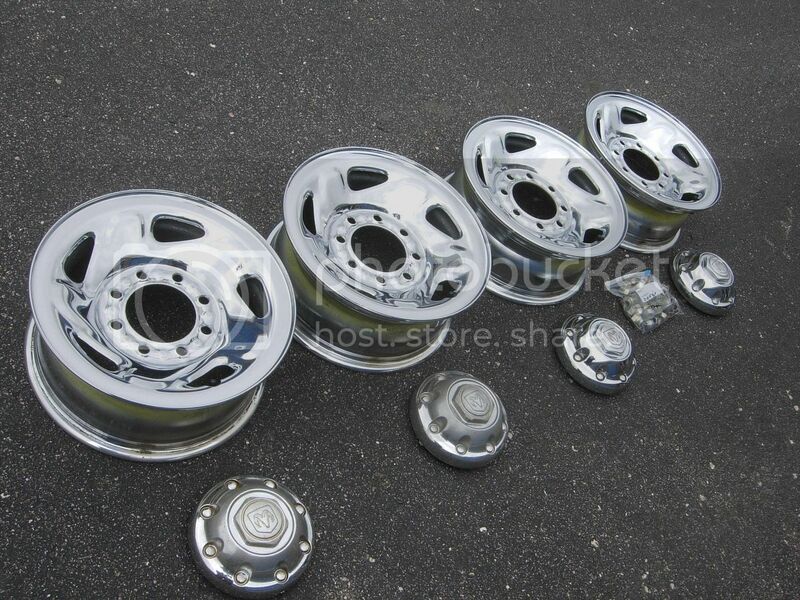 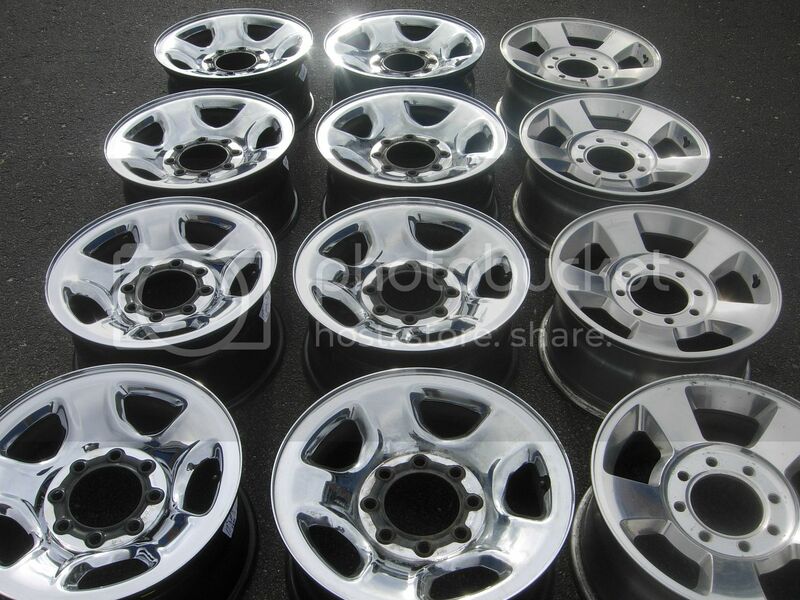 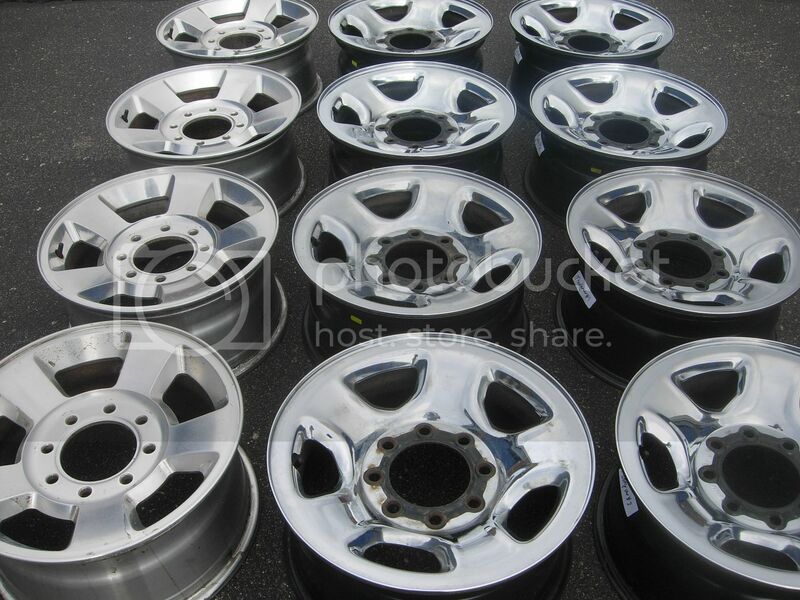 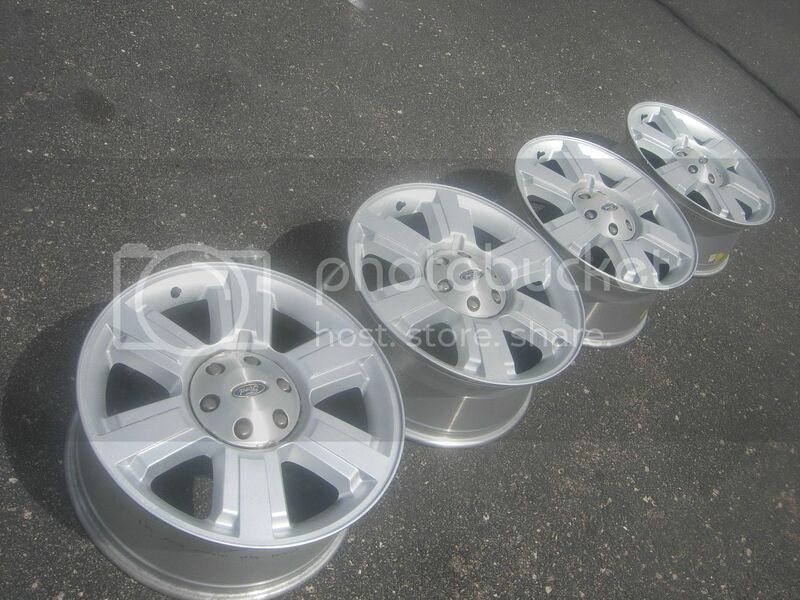 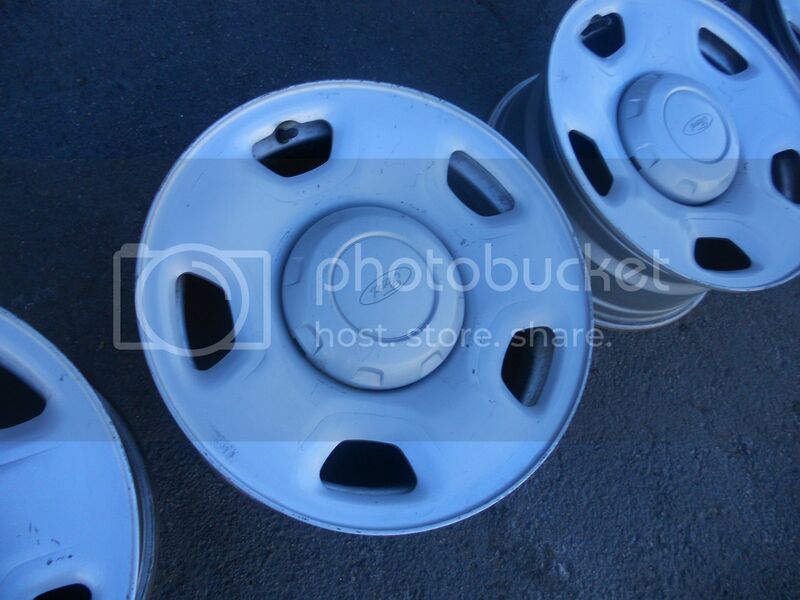 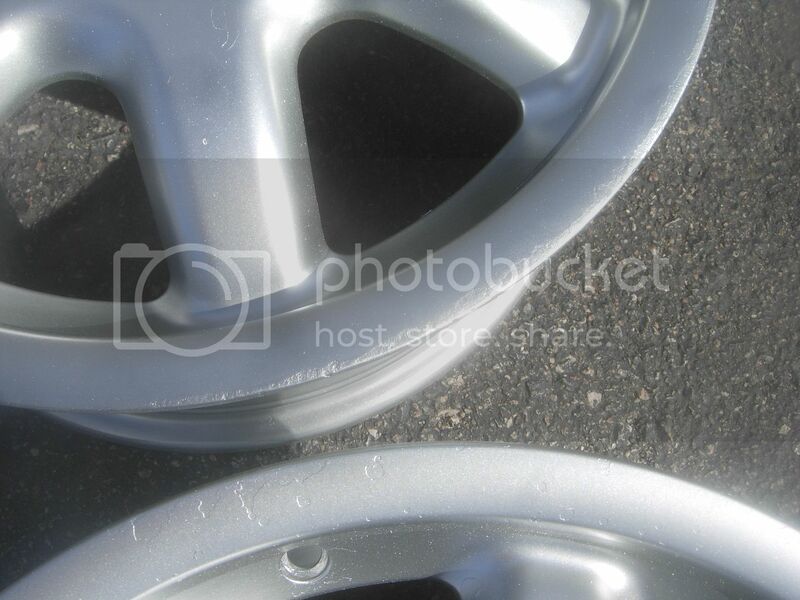 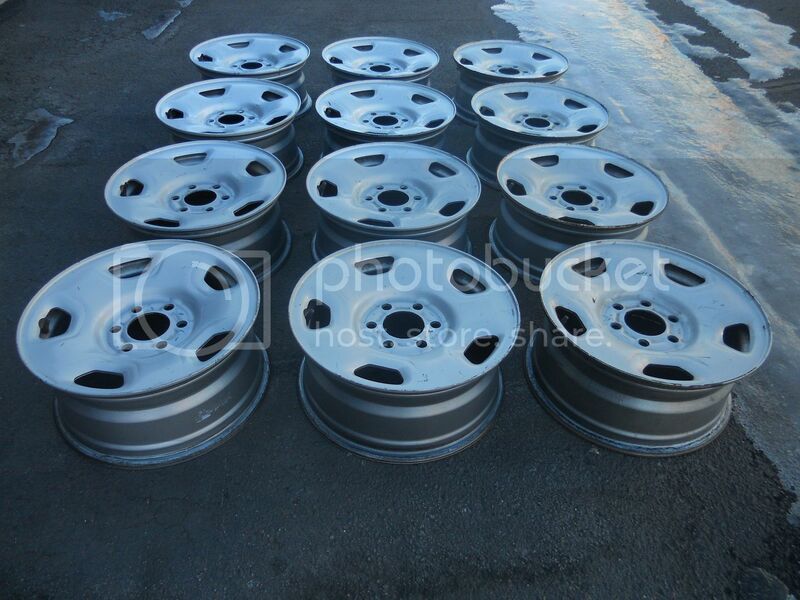 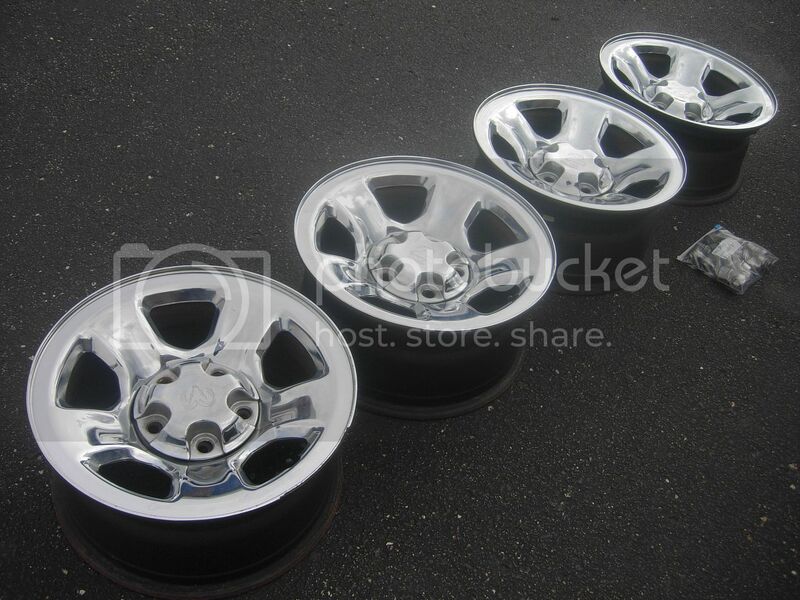 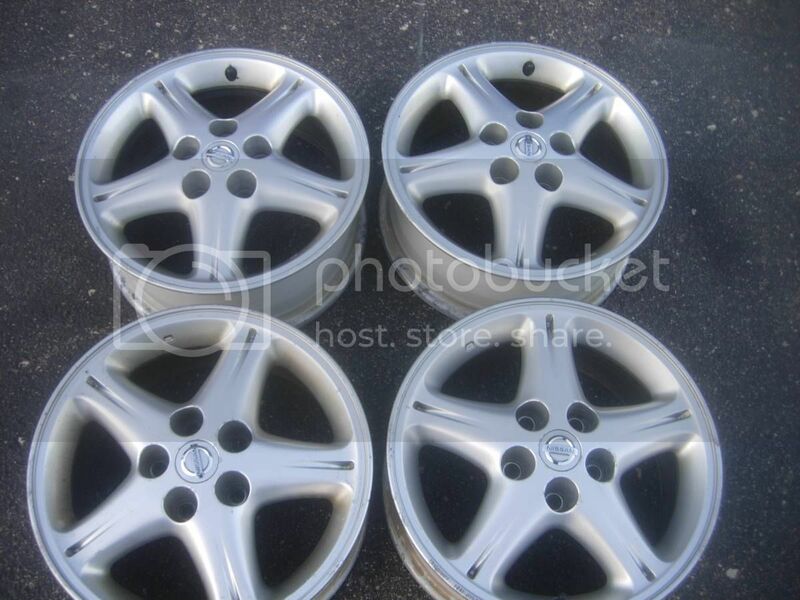 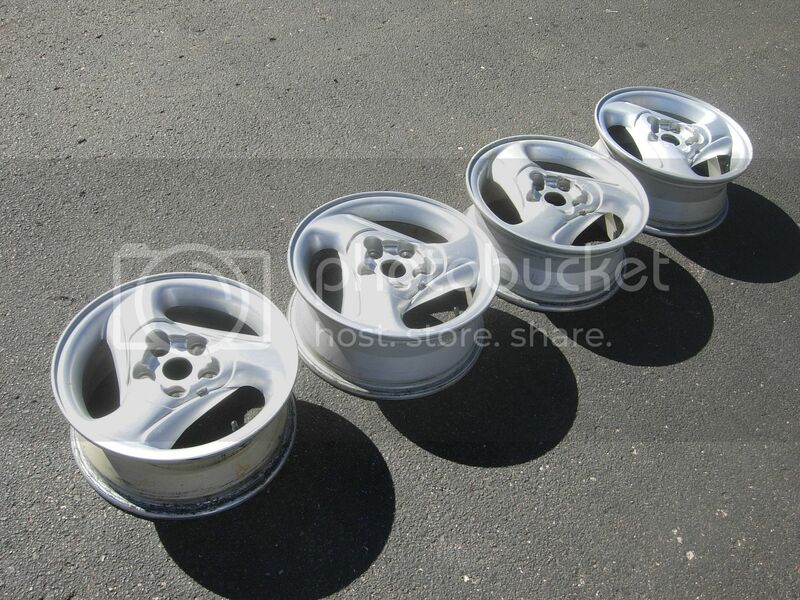 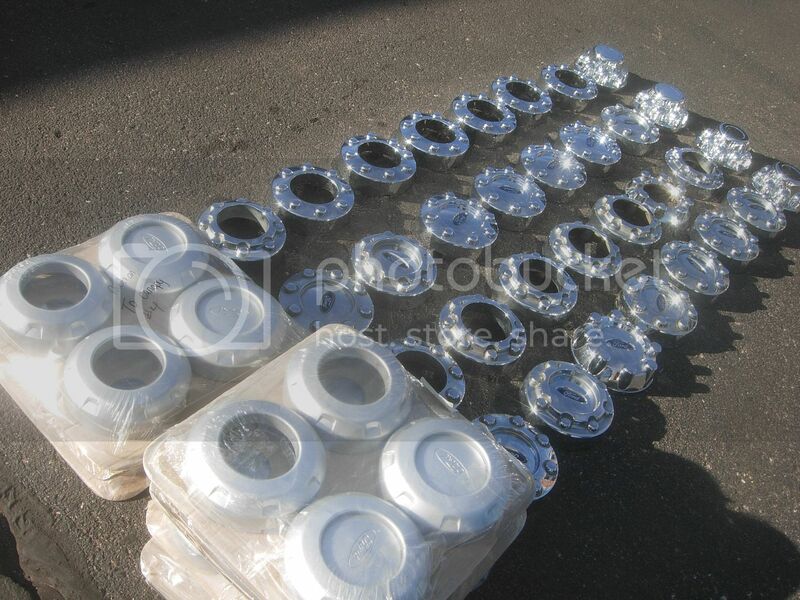 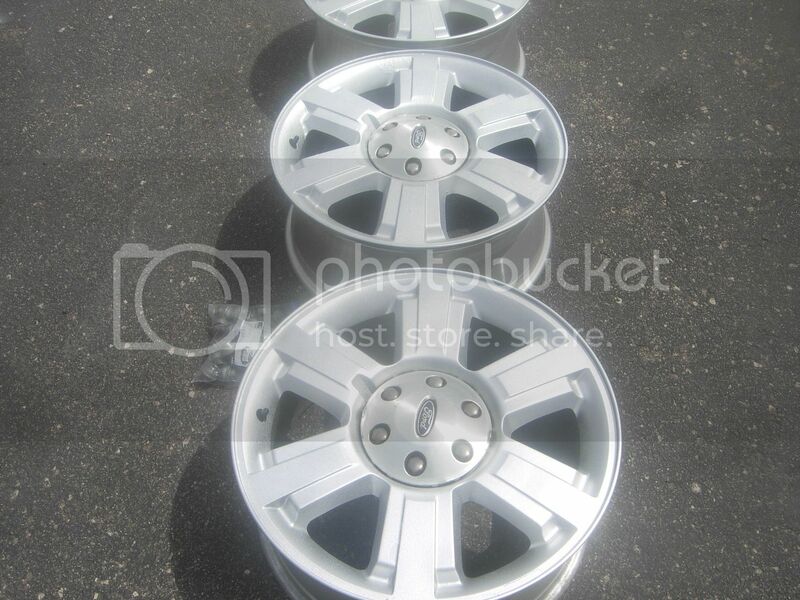 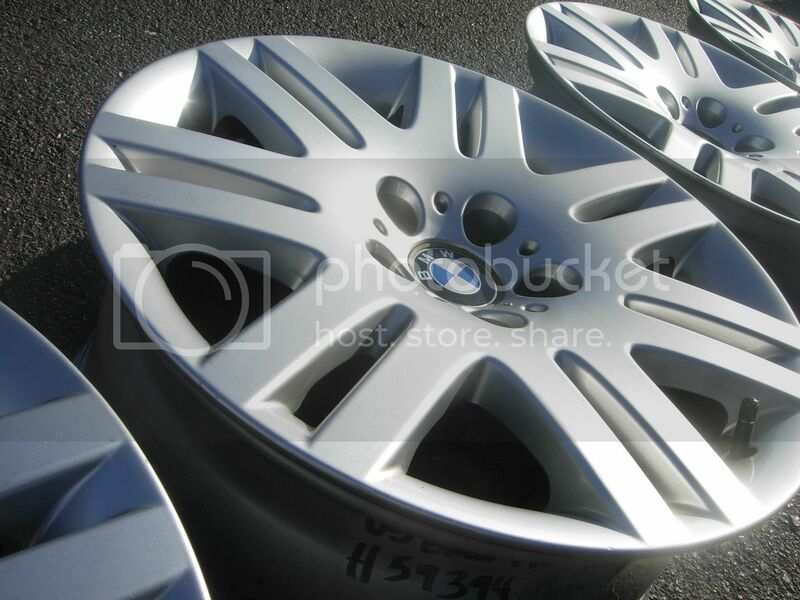 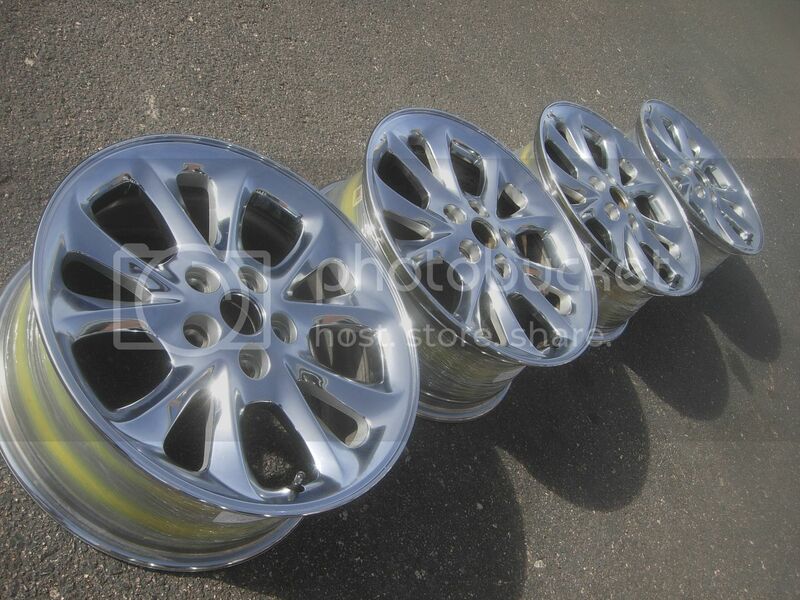 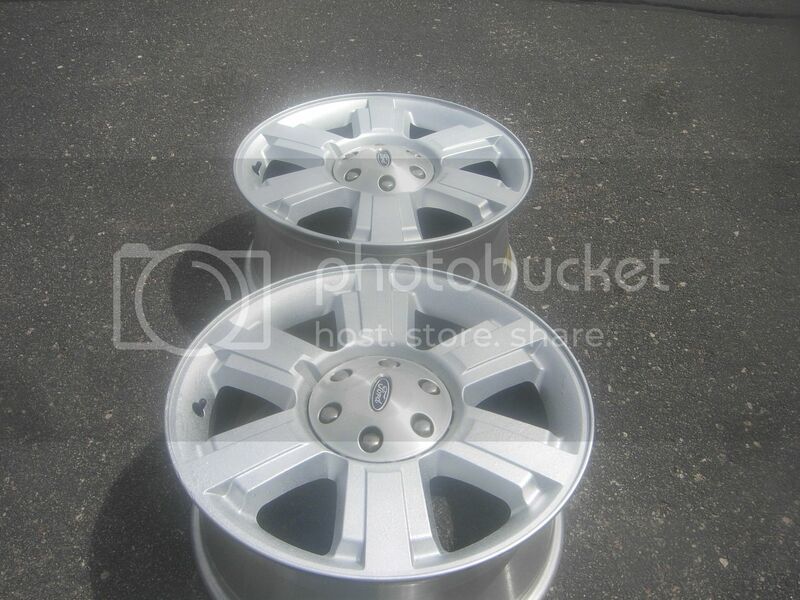 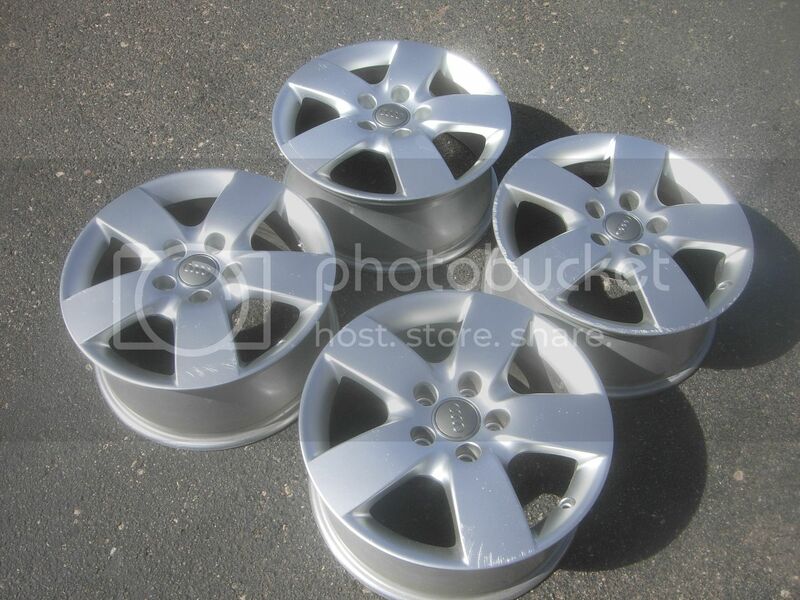 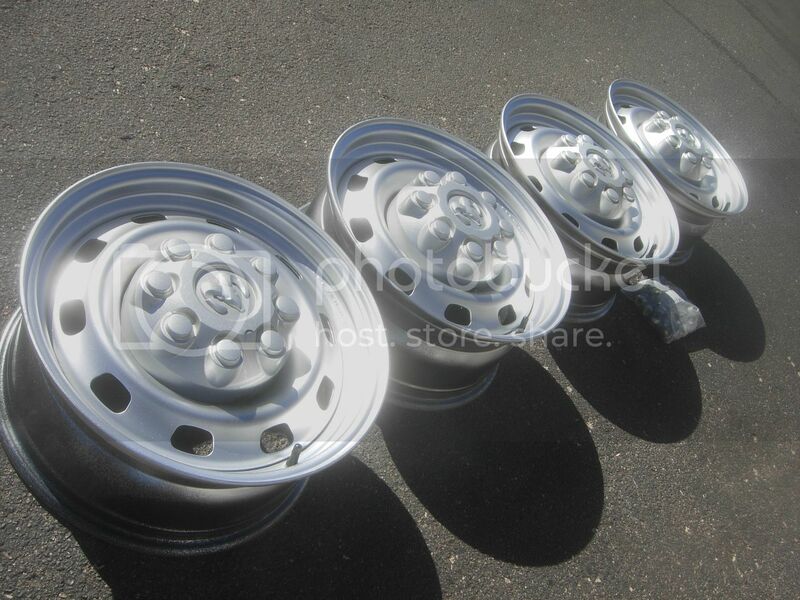 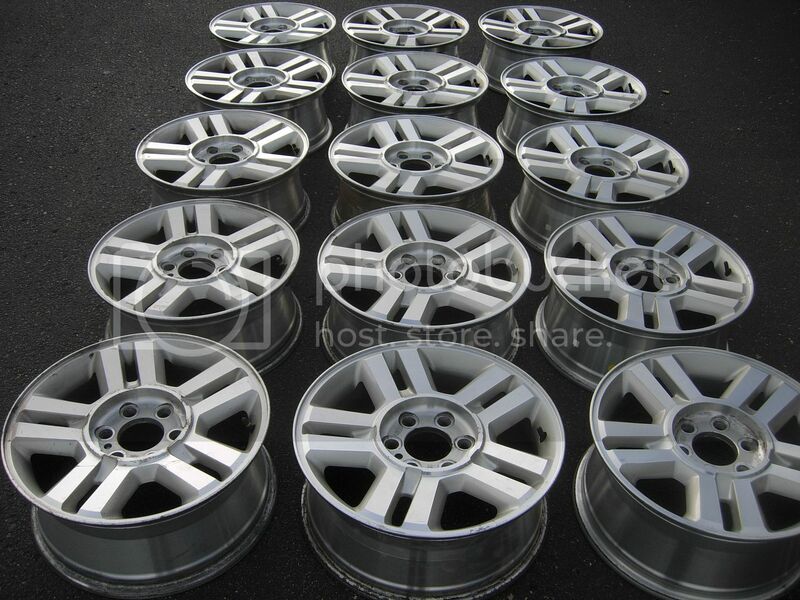 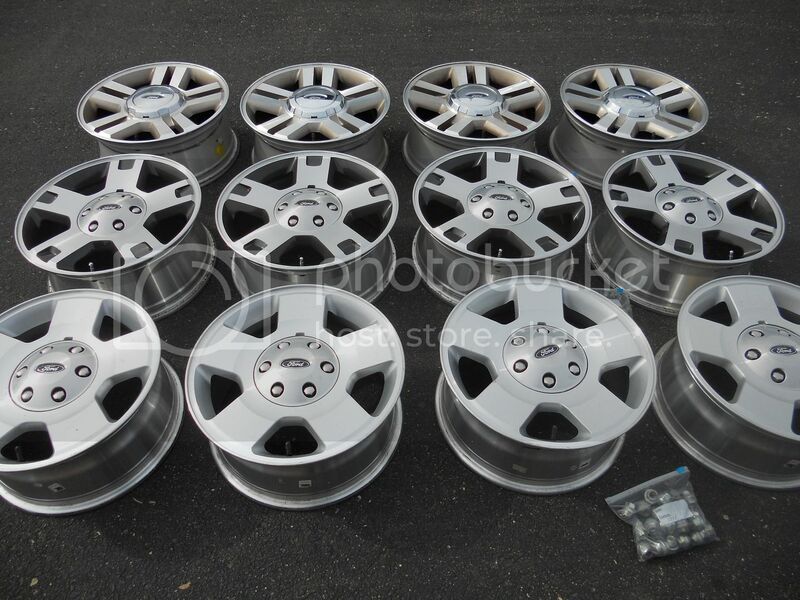 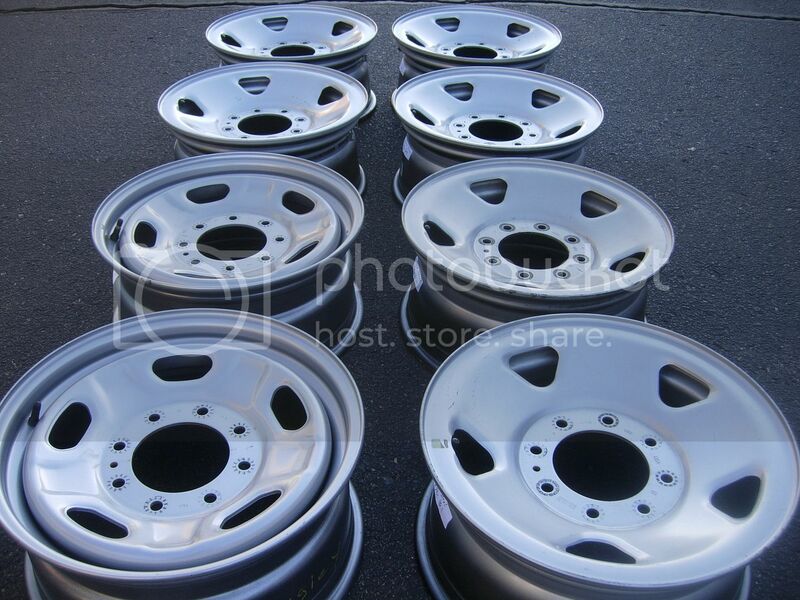 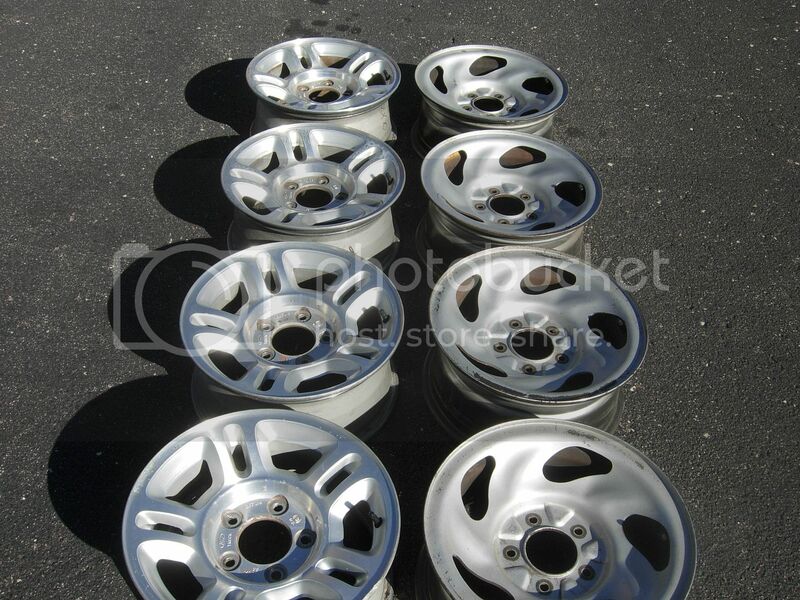 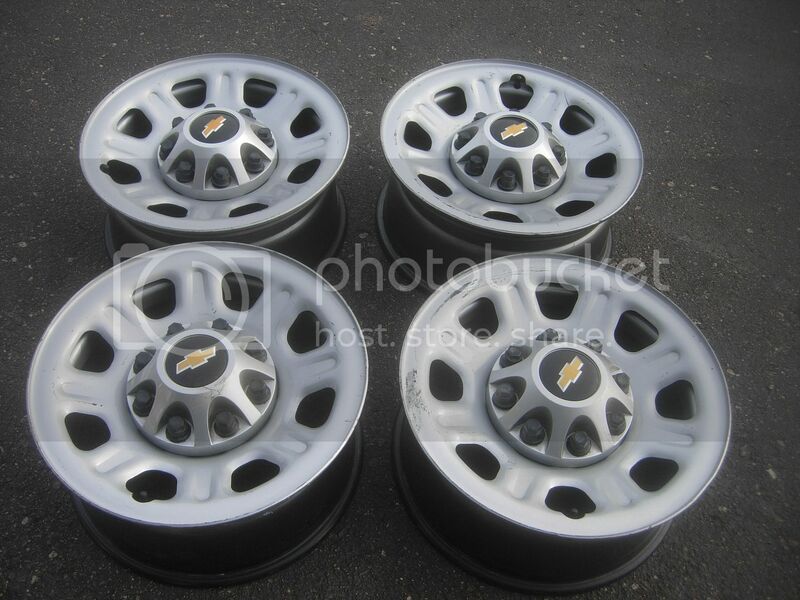 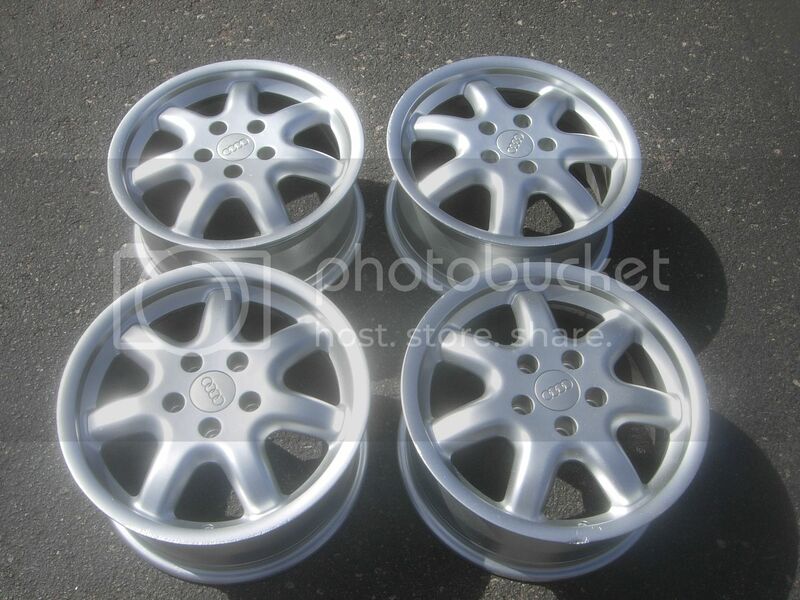 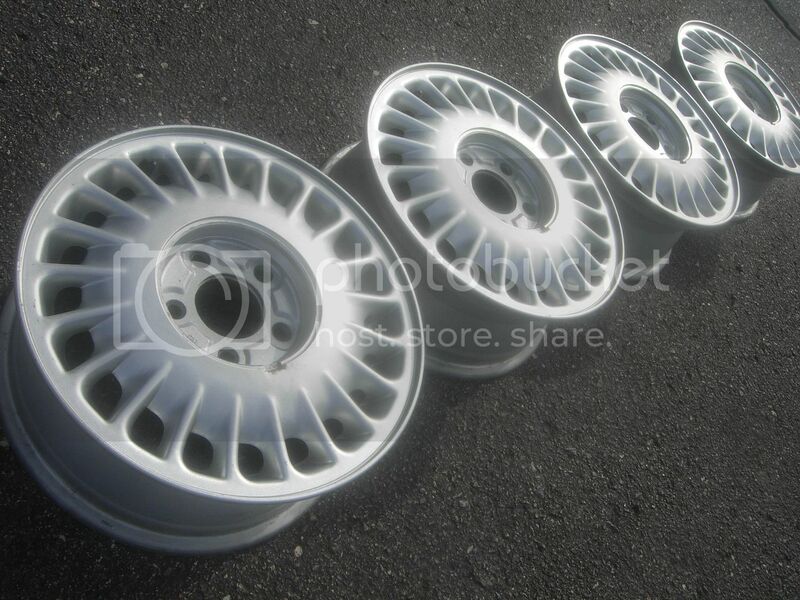 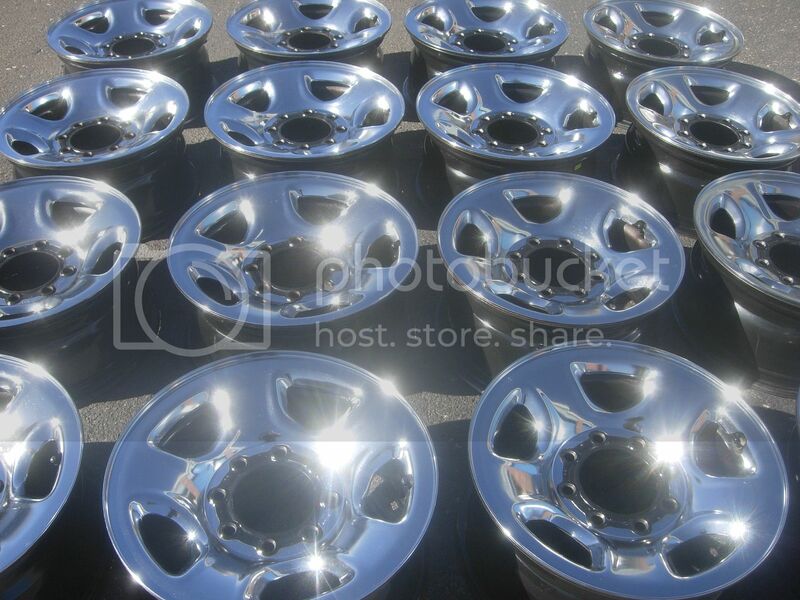 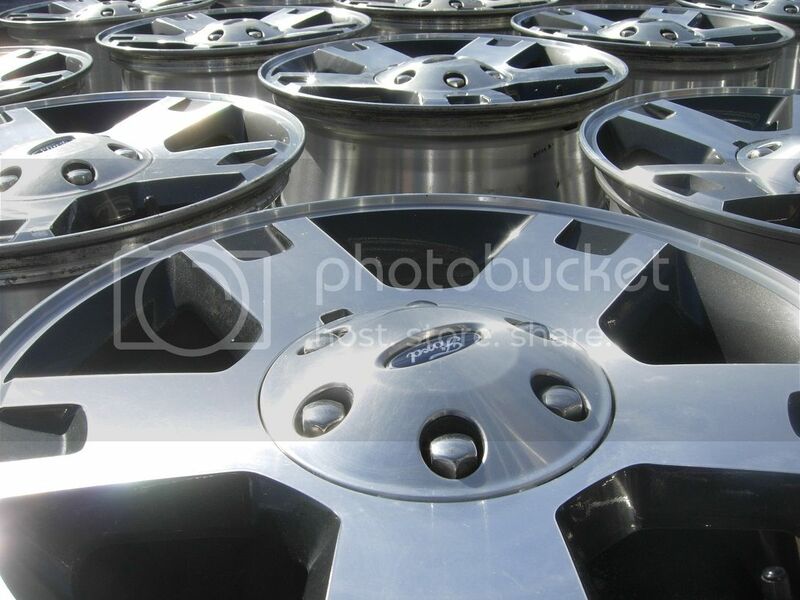 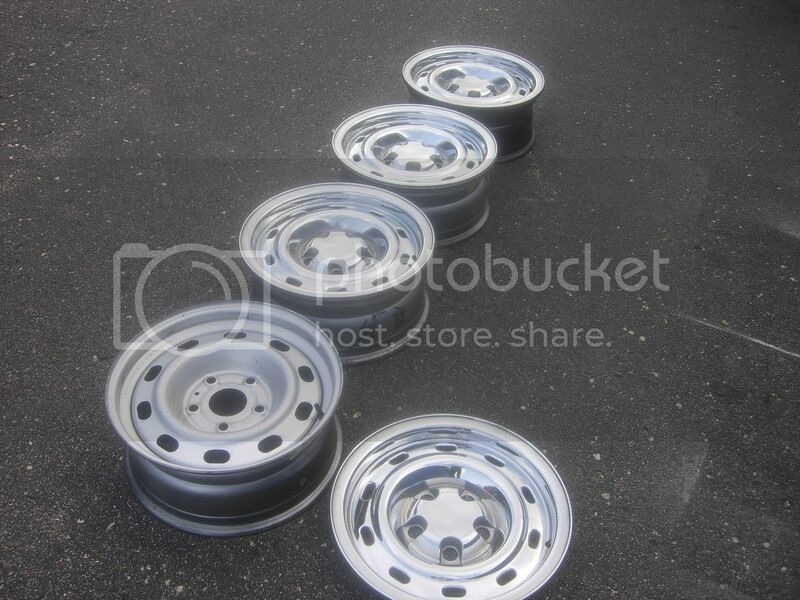 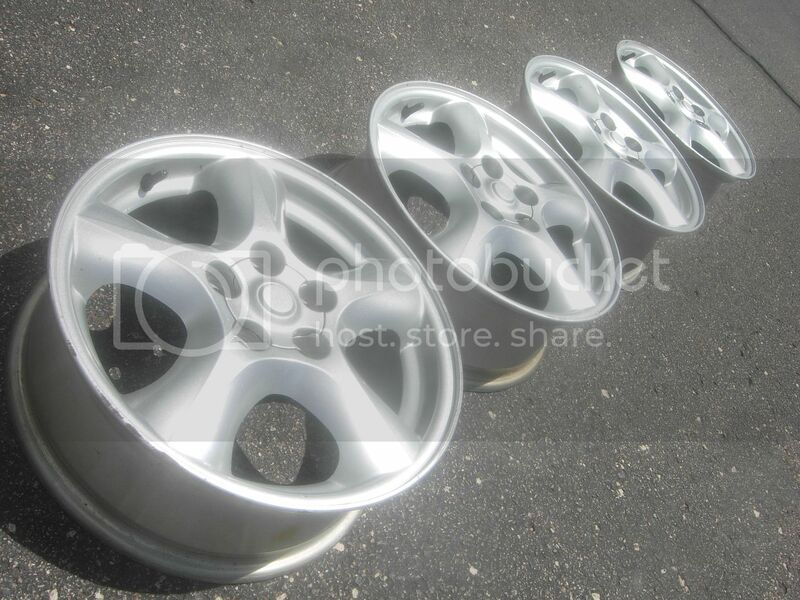 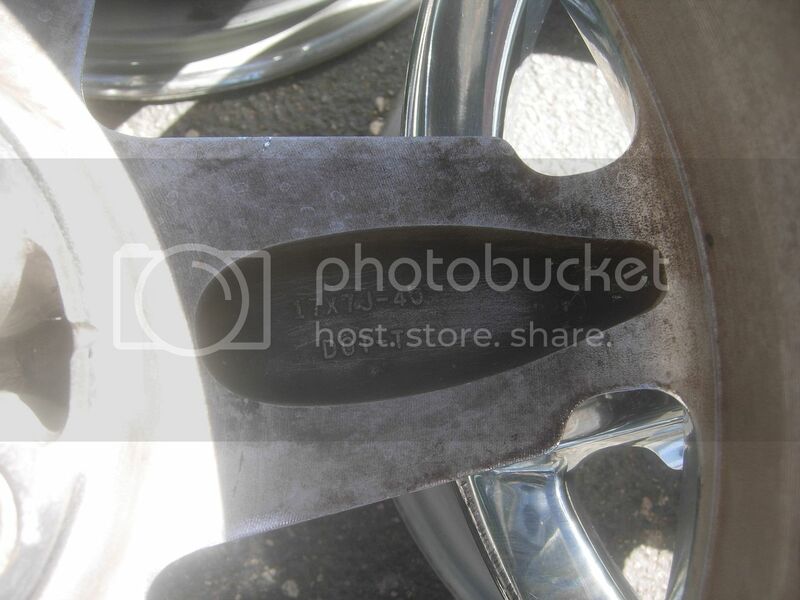 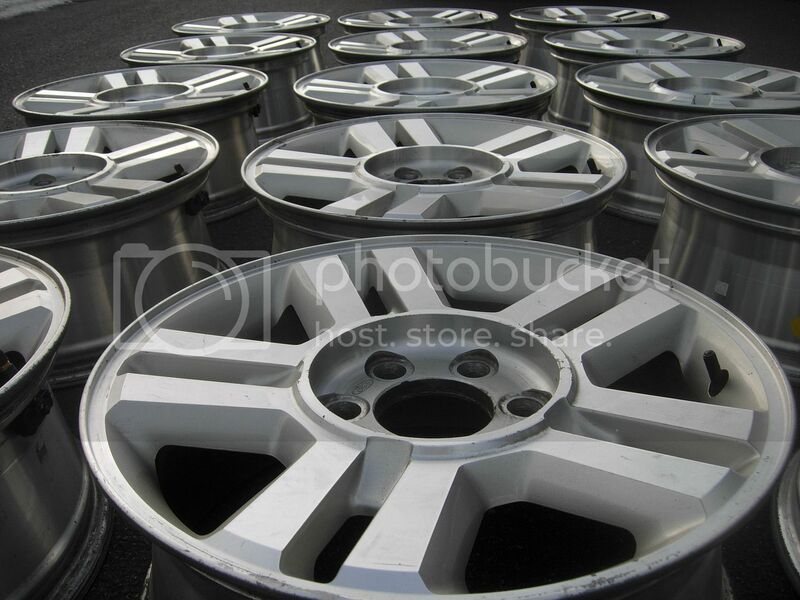 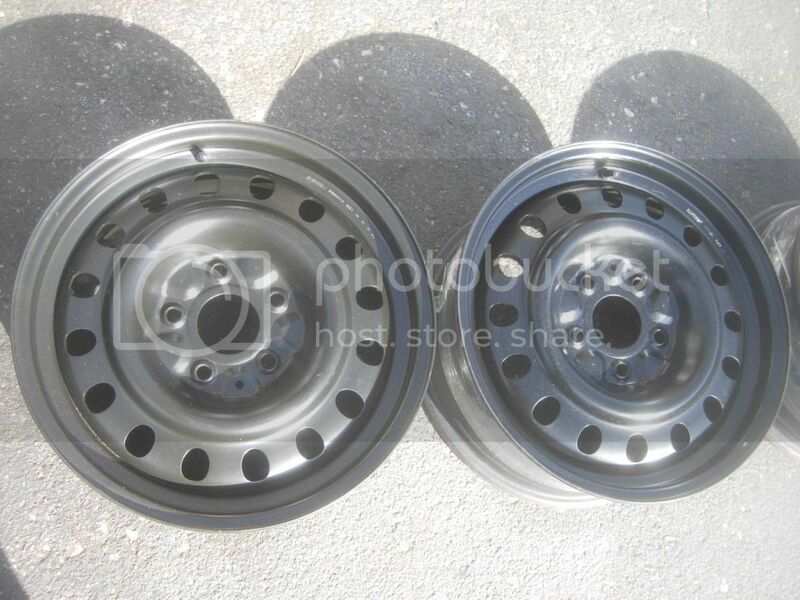 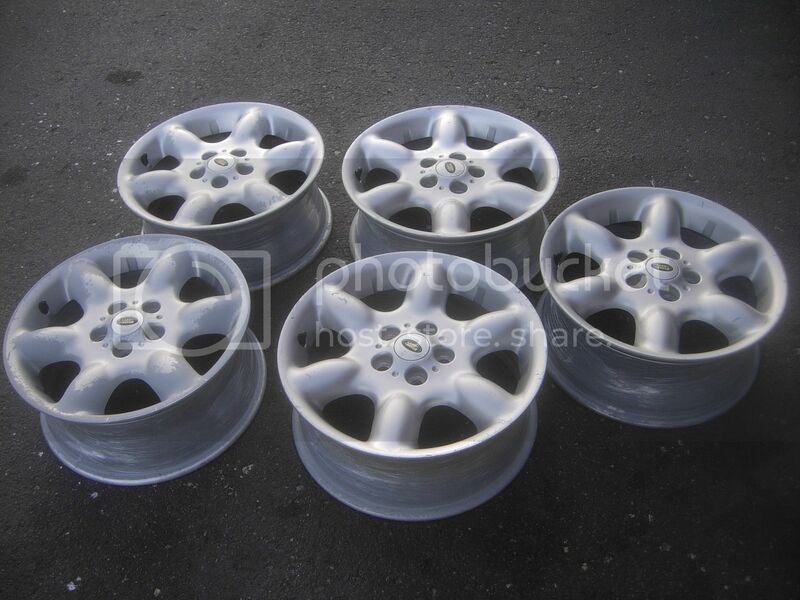 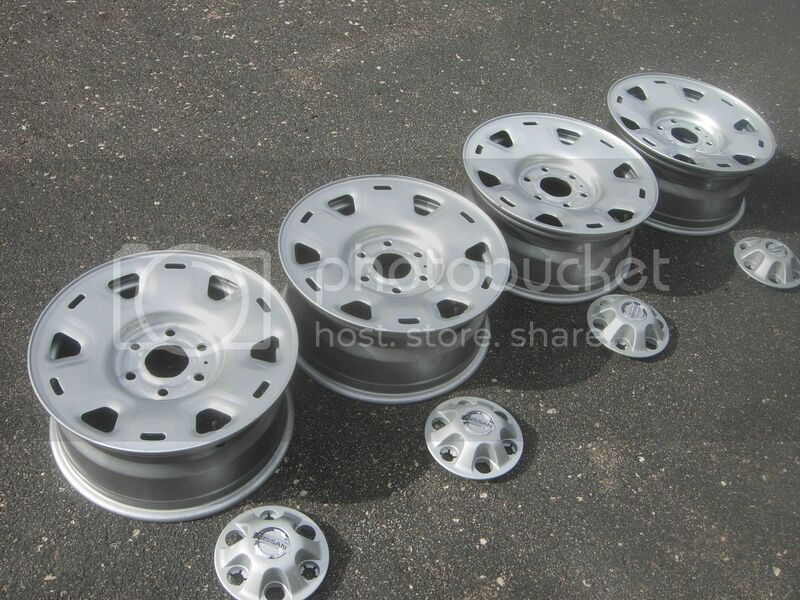 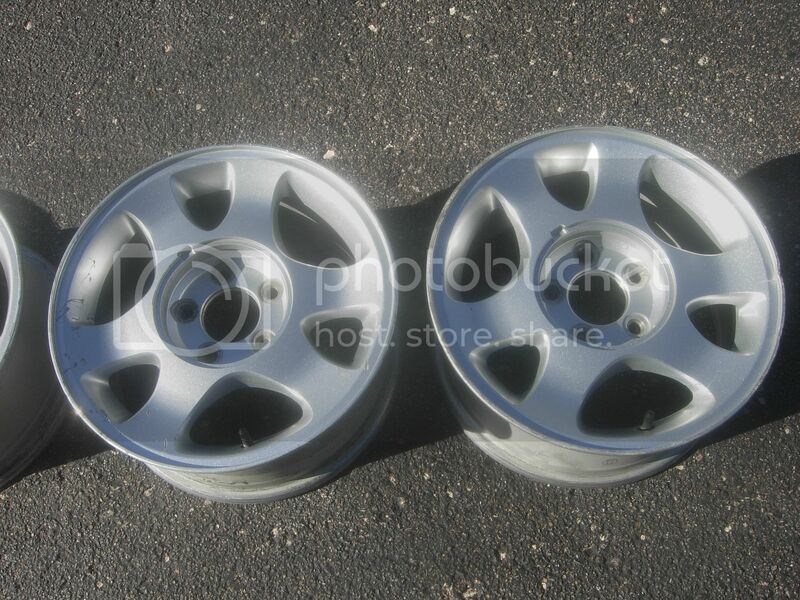 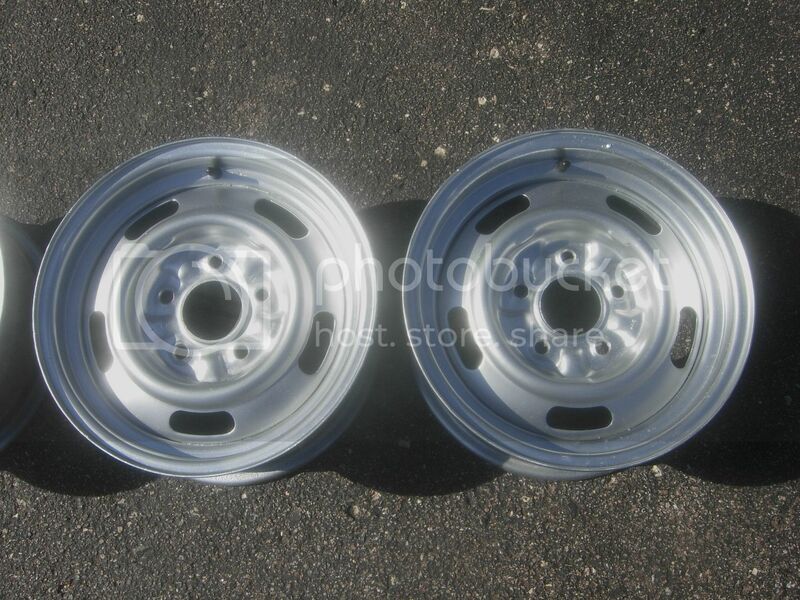 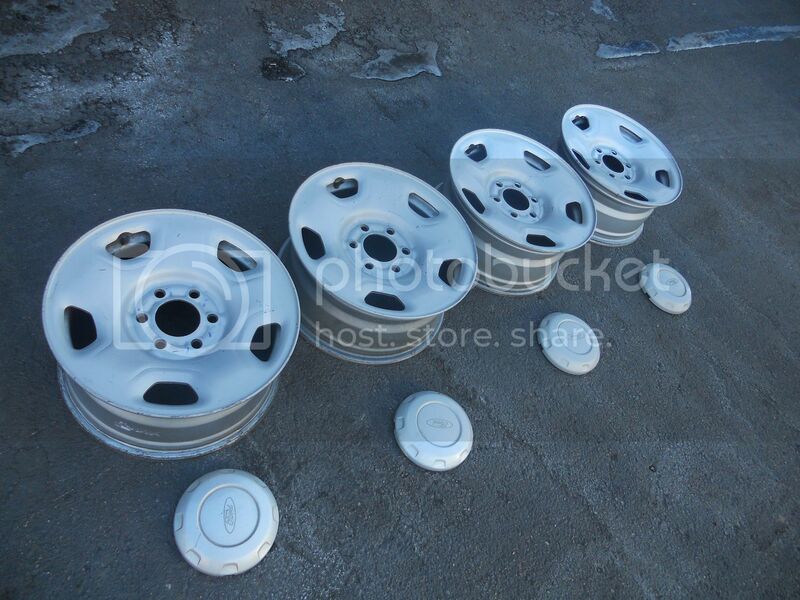 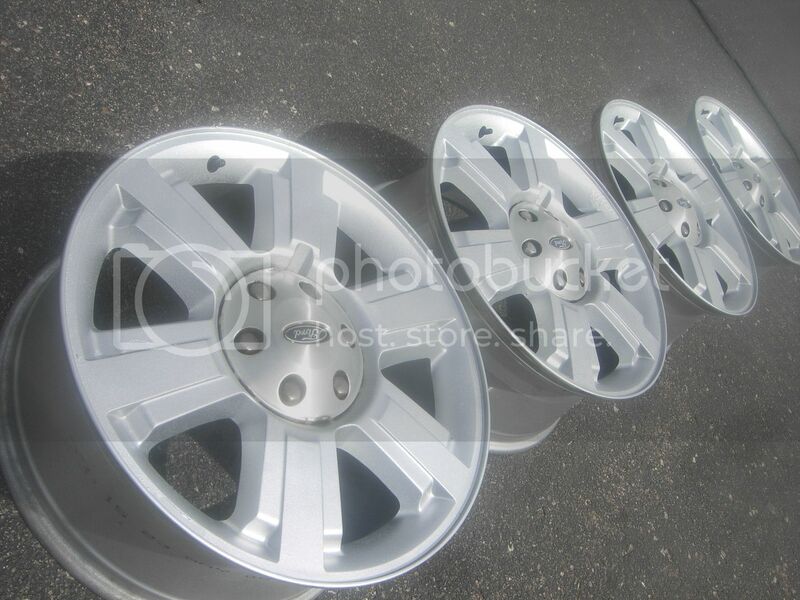 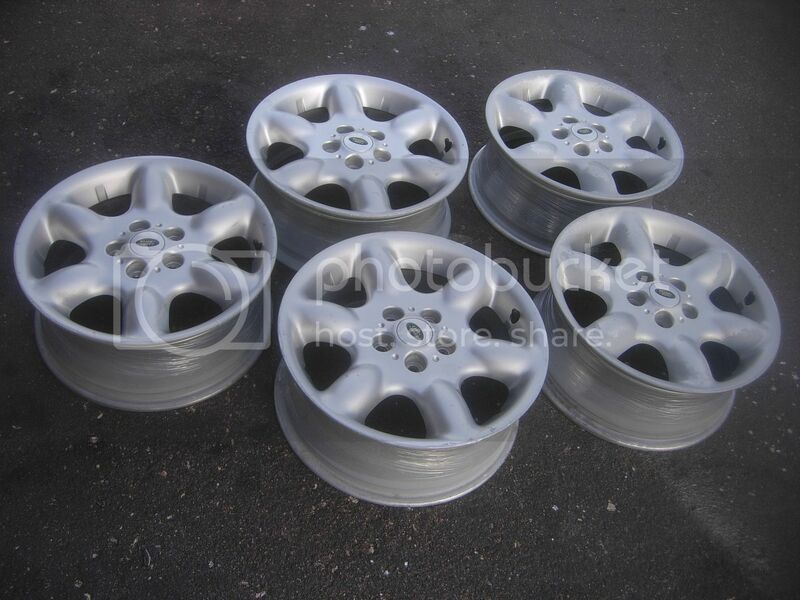 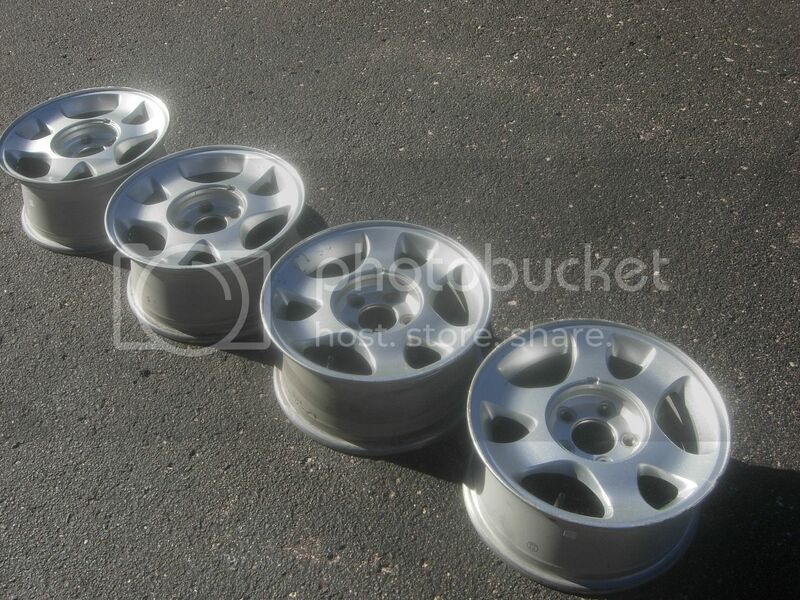 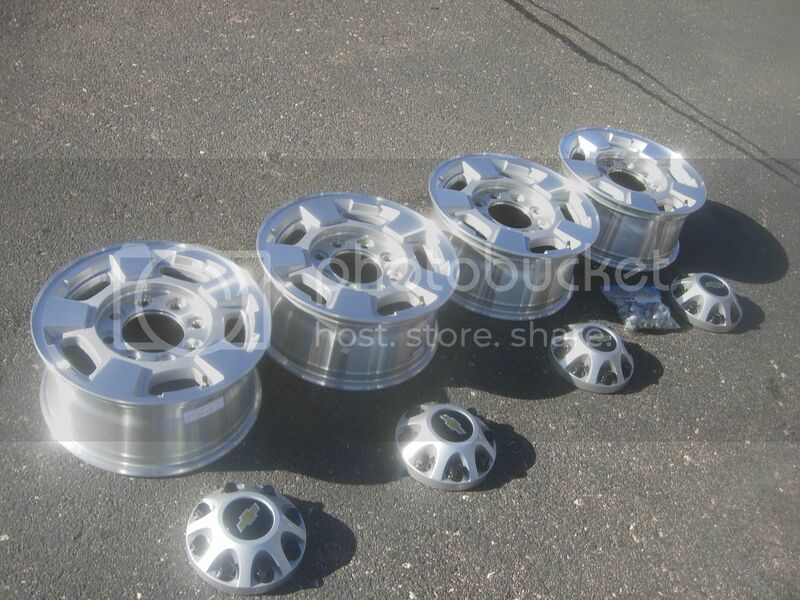 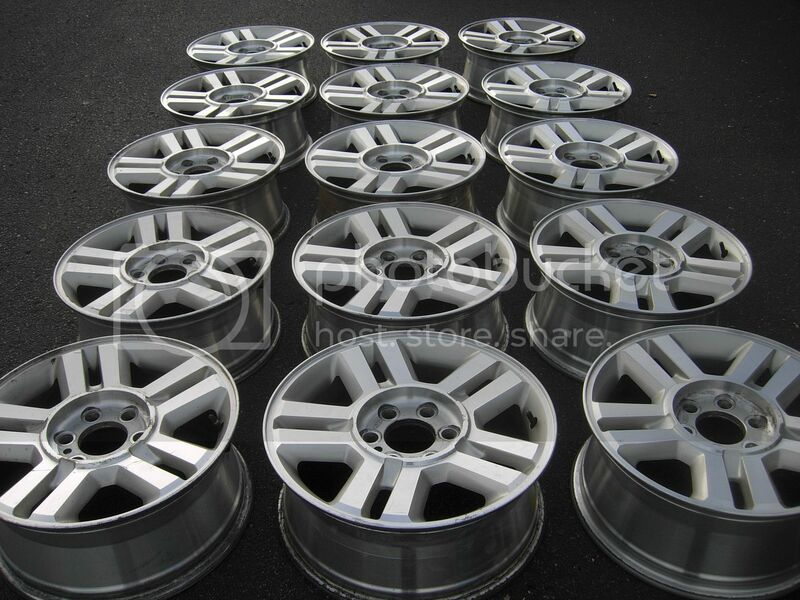 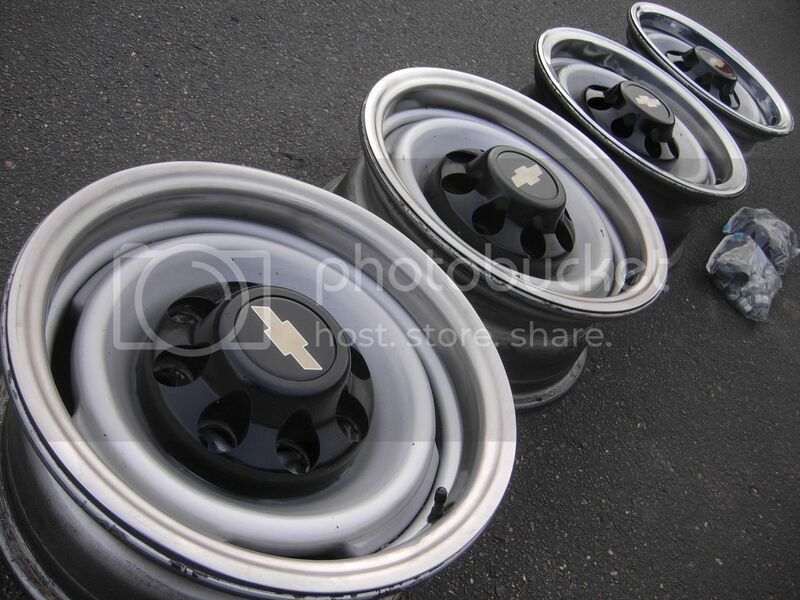 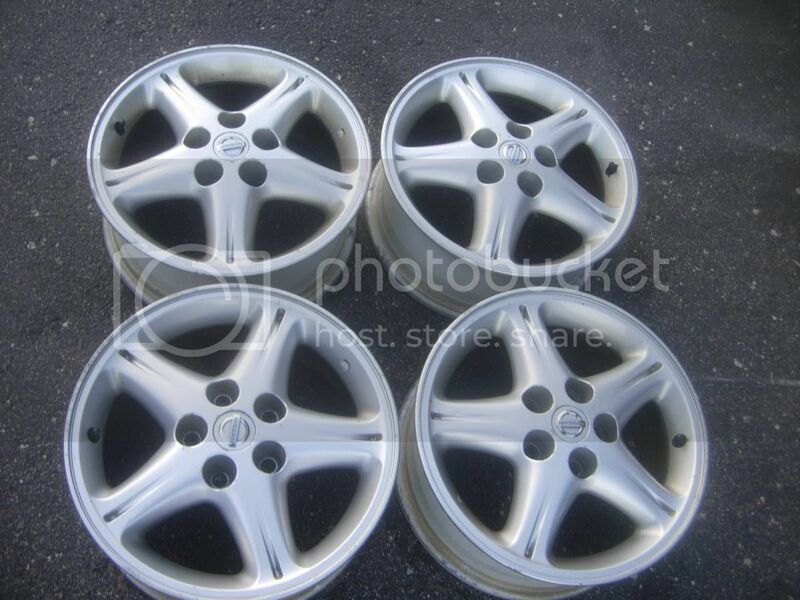 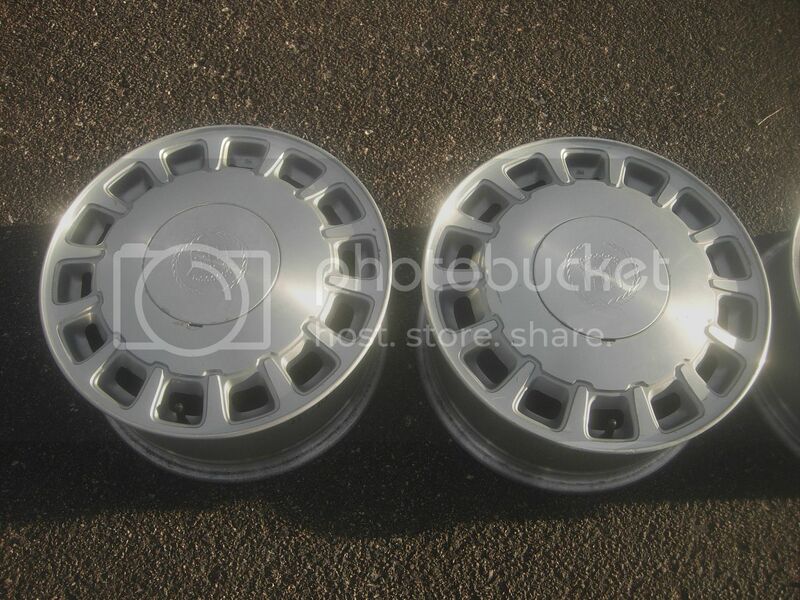 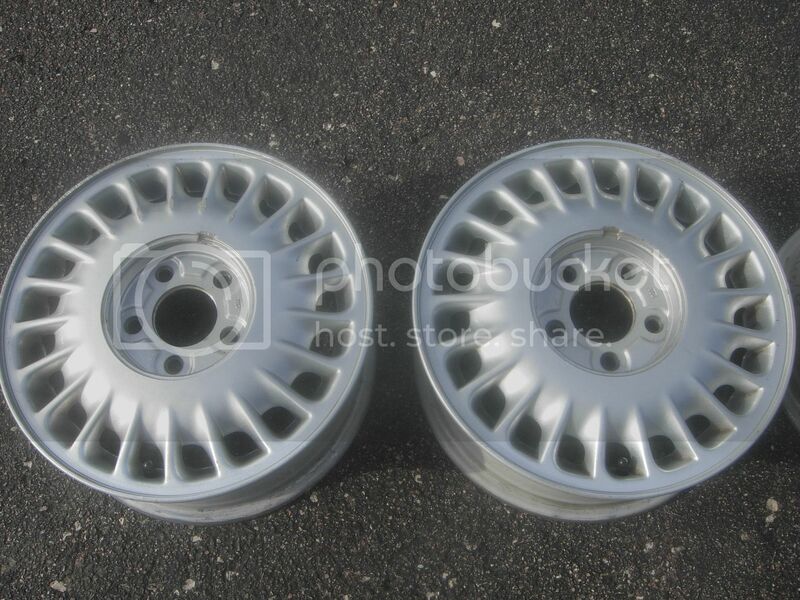 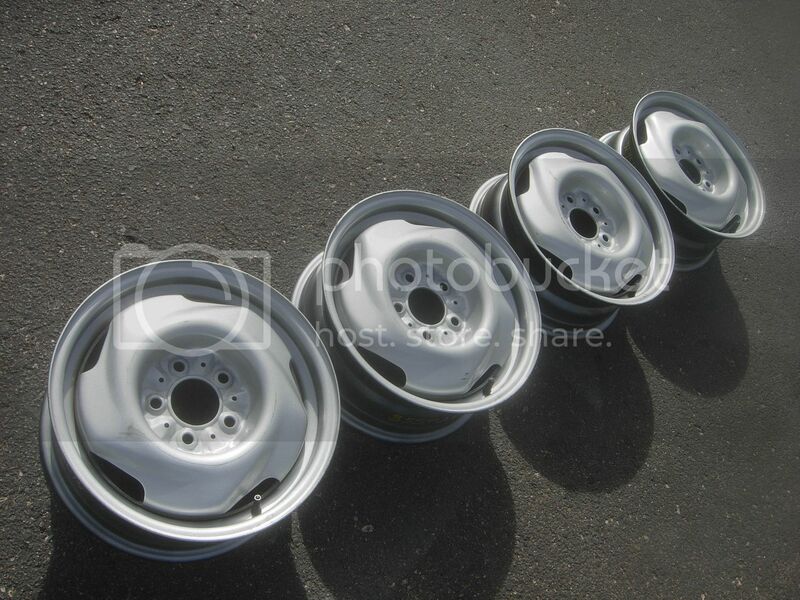 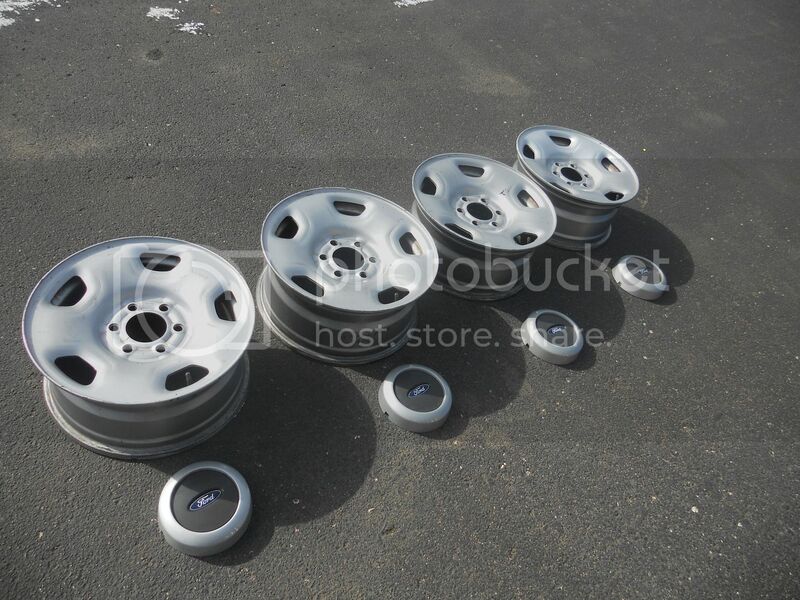 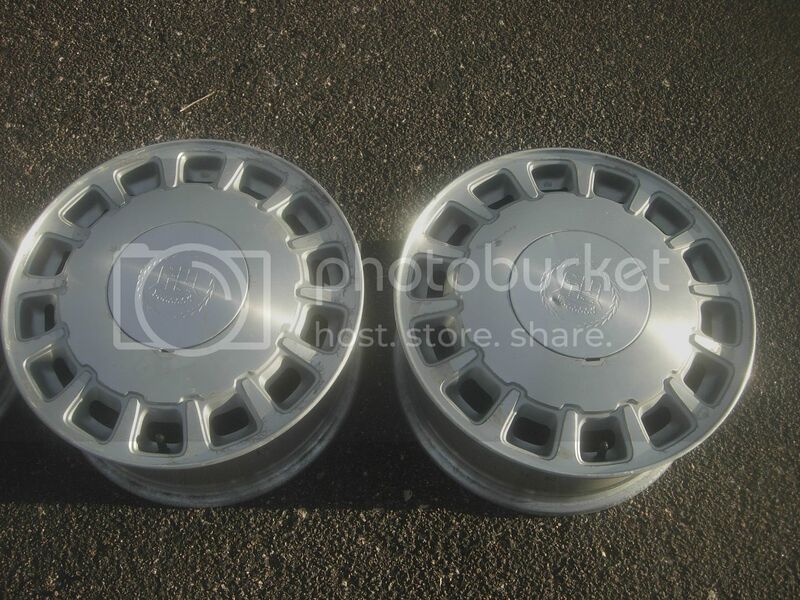 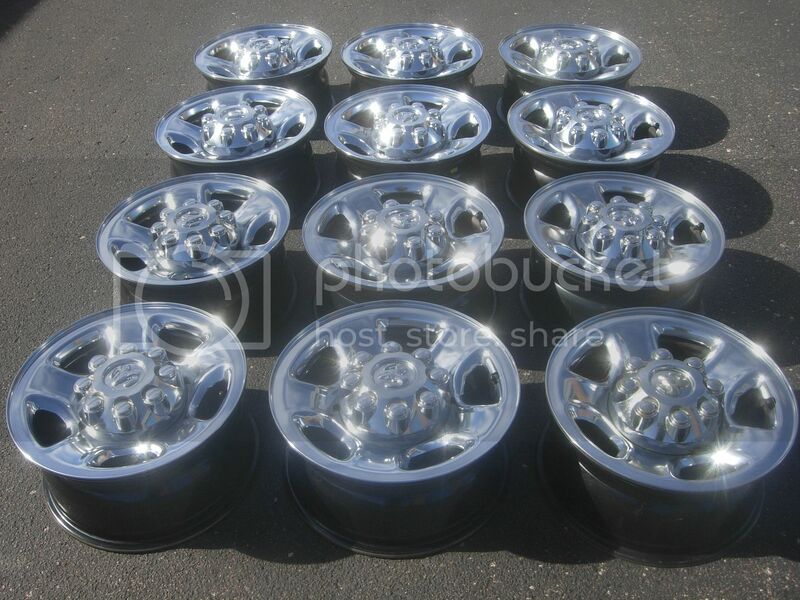 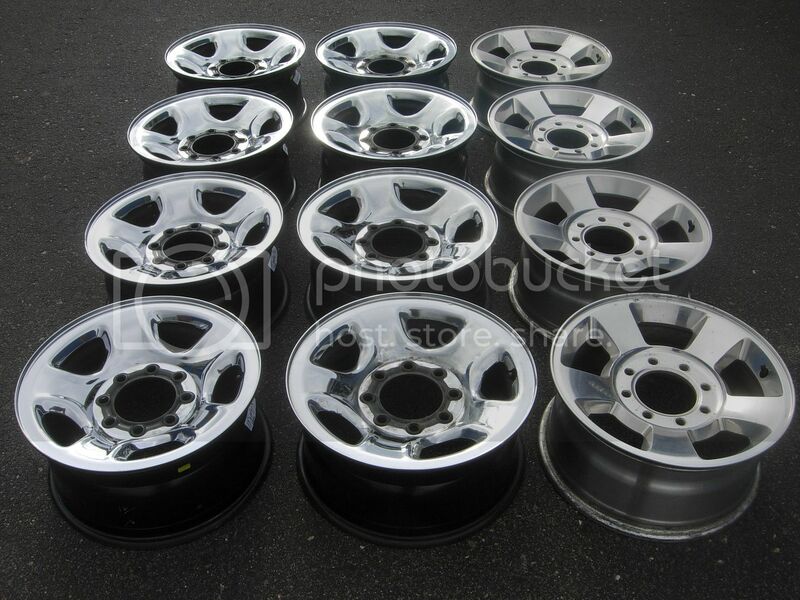 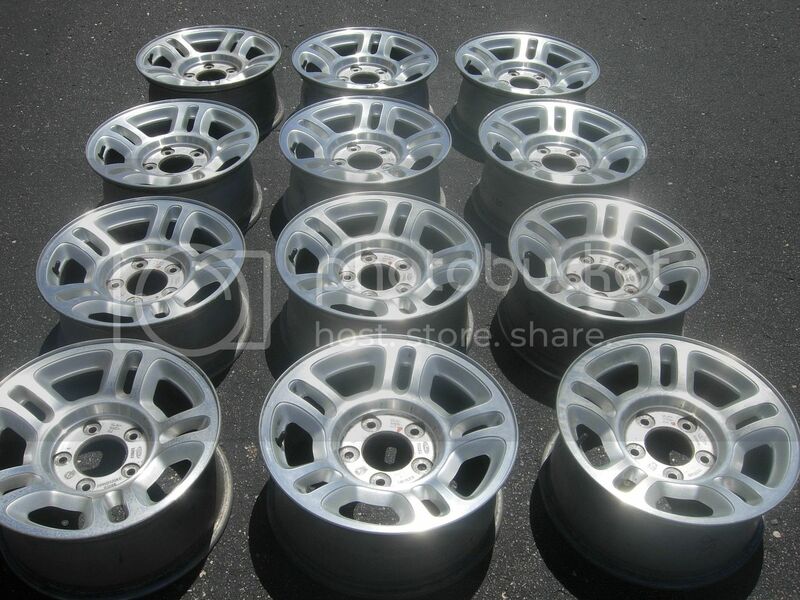 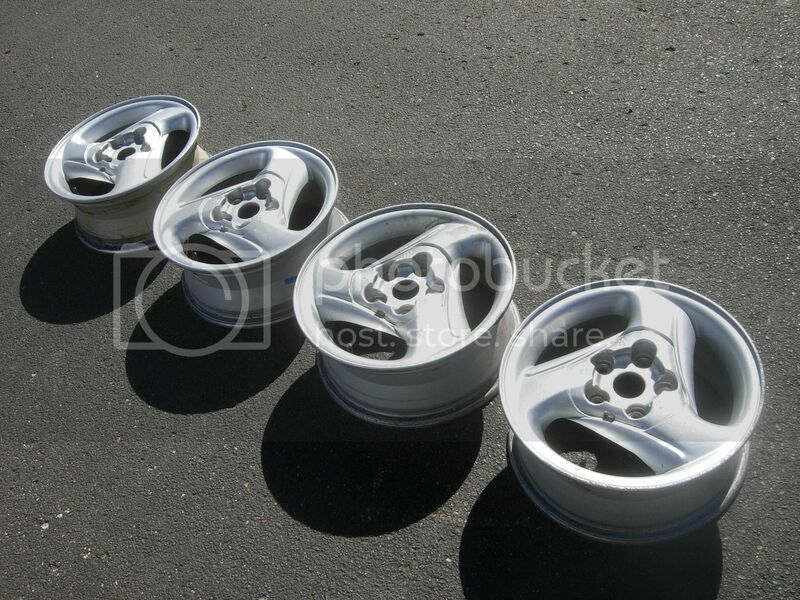 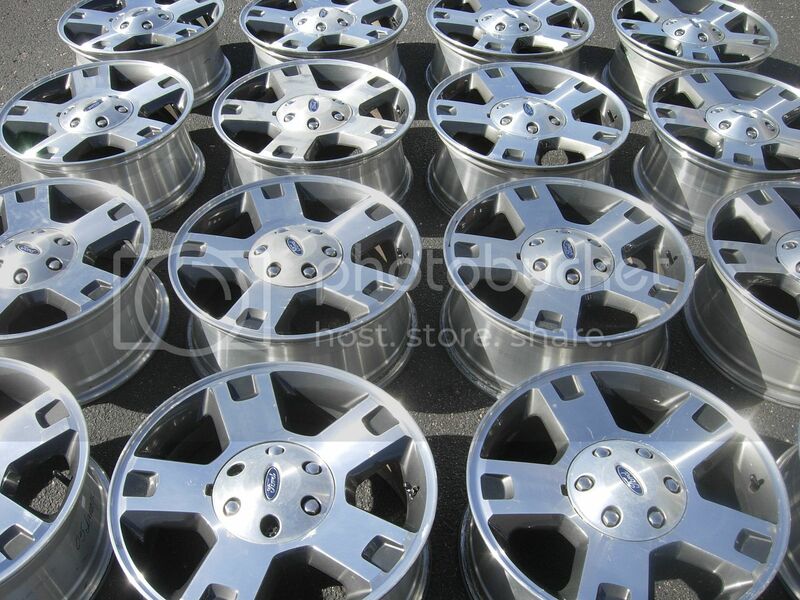 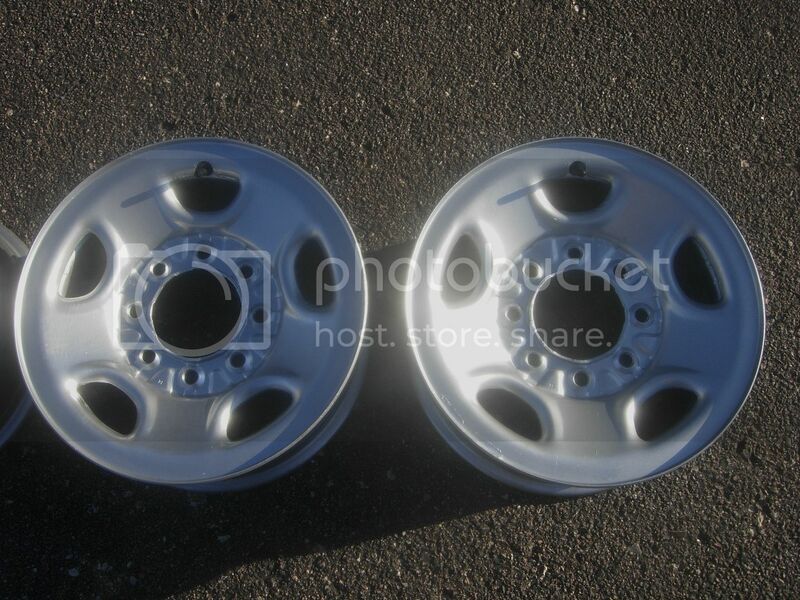 Rims are 16” X 6.5”, ------- 8 lugs X 6.5" center bore=4.82"
No lug nuts, comes with 4 center caps, if you buy the whole set. 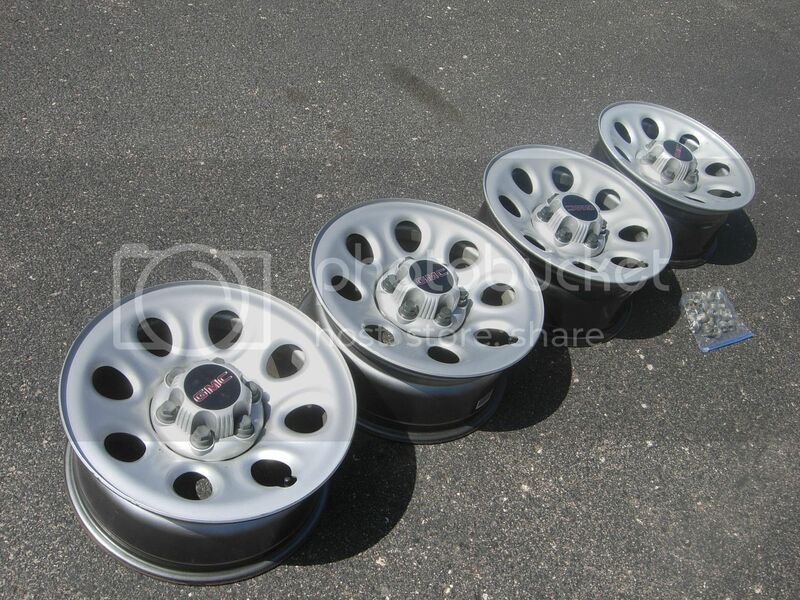 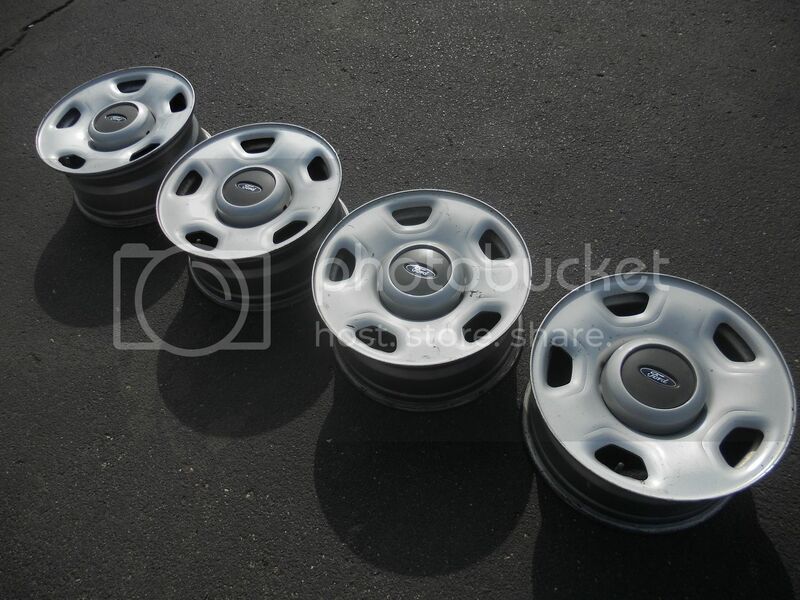 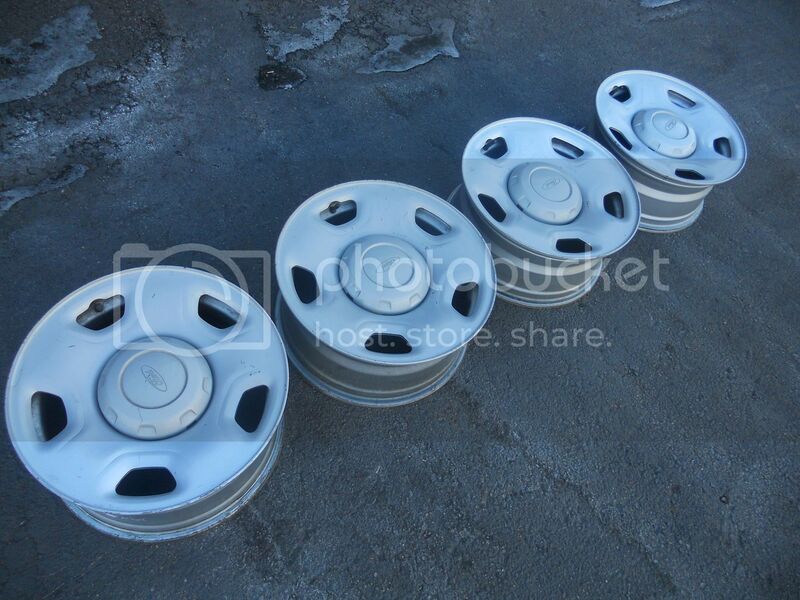 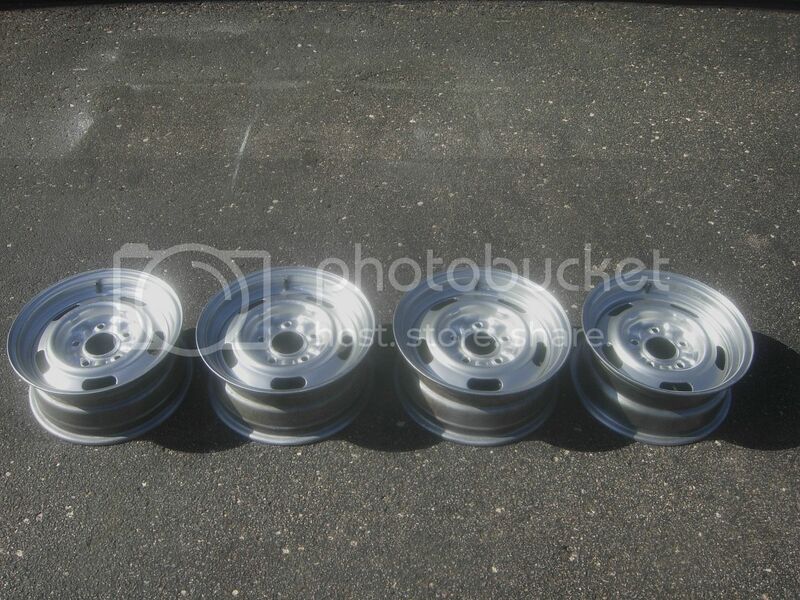 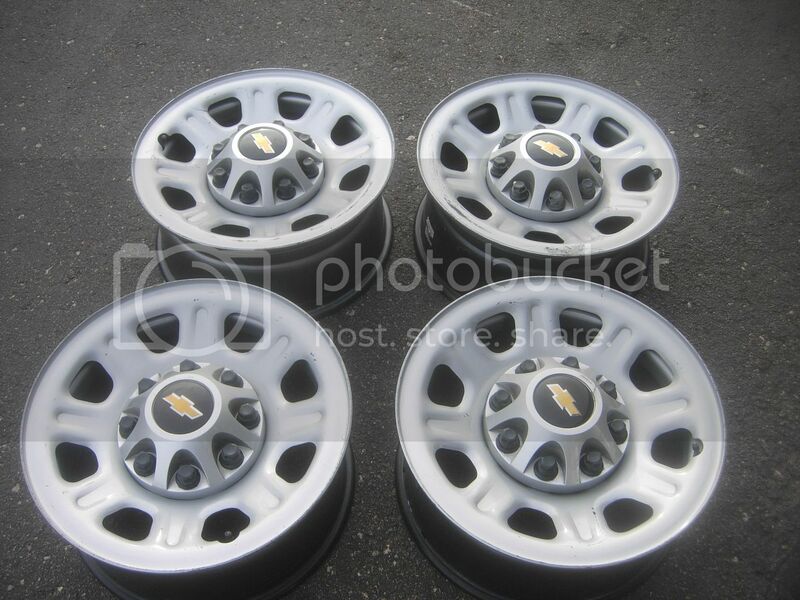 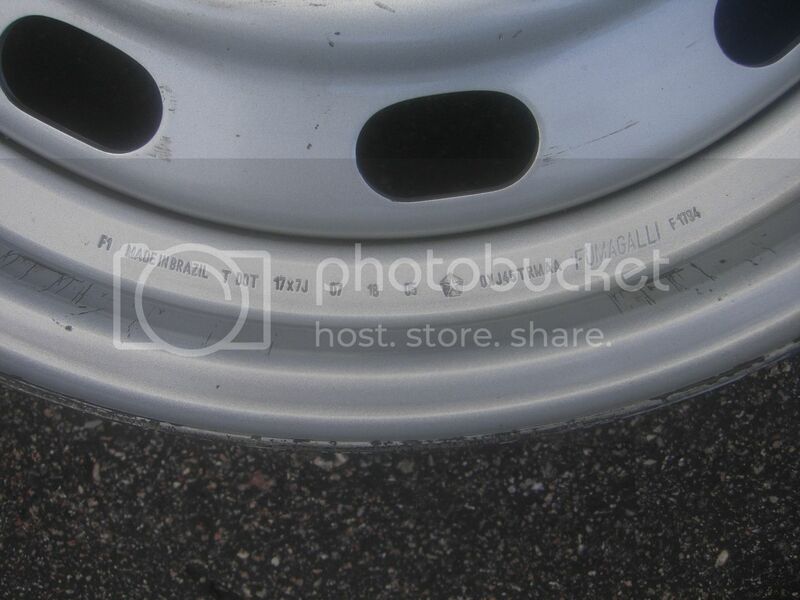 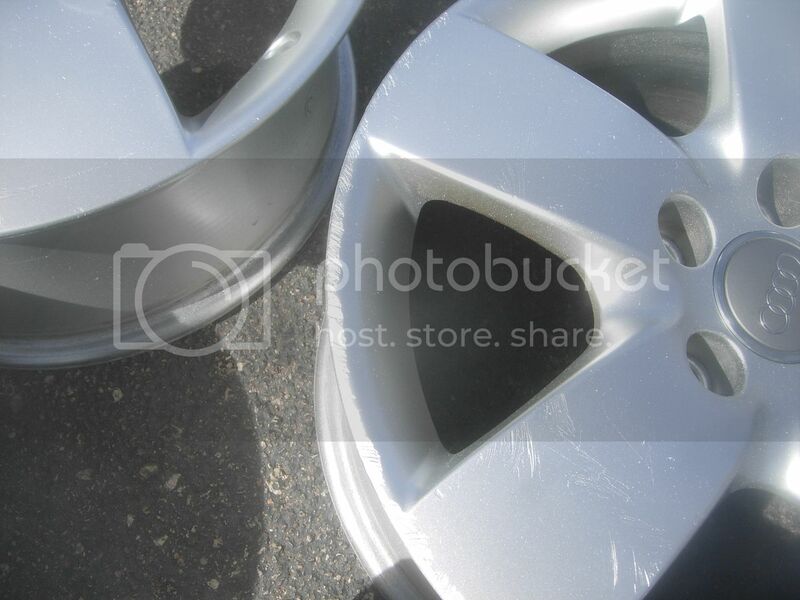 No sensors, No lug nuts, comes with 4 center caps, all 4 rims in excellent condition. 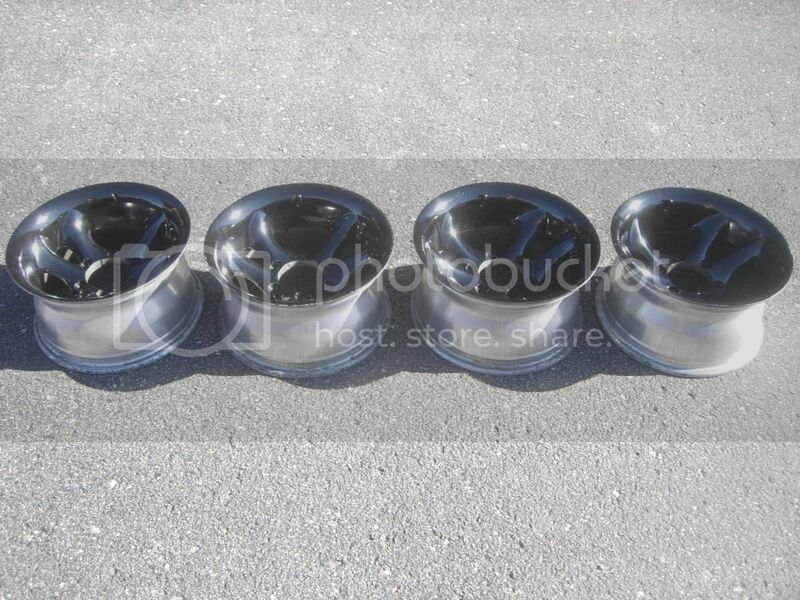 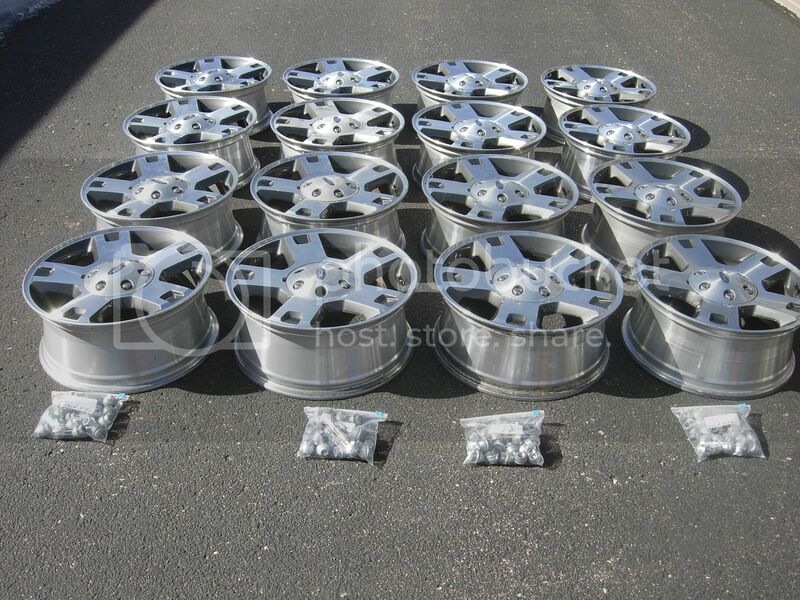 will fit most Toyota, Tacoma, older Tundra, and 4Runner as well and any 6 lugs X 5.5"
rims are 16"X7" alloy, 5 lugs X 112 mm, offset=45 mm. 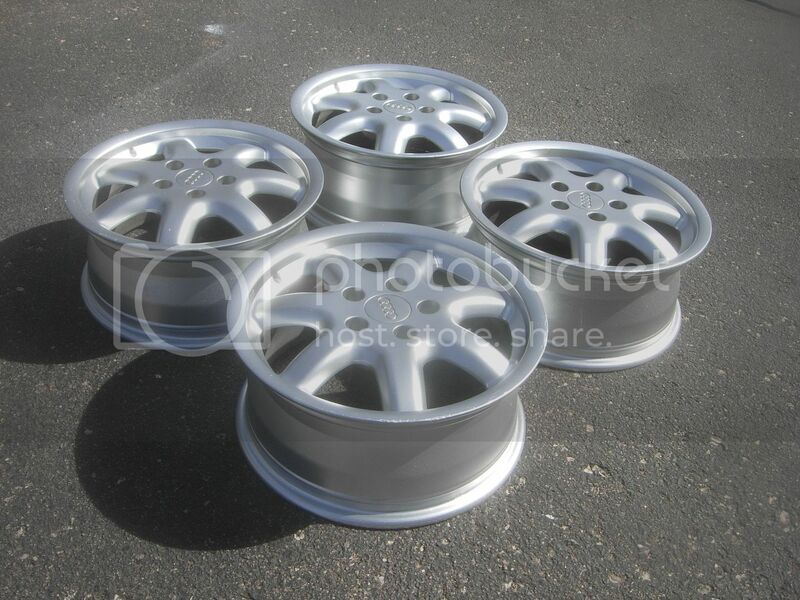 steel, silver spray painted metallic 17" X 7.5", -----8 lugs X 6.5"